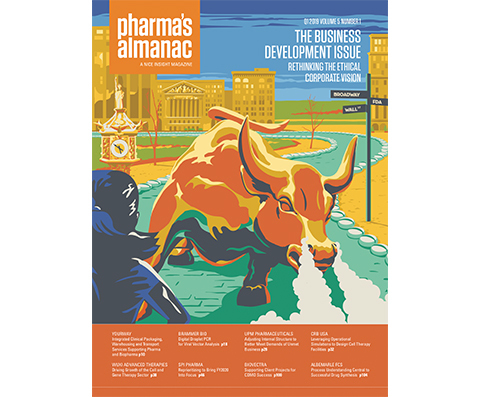 The Pharma’s Almanac Q1 cover is complete! 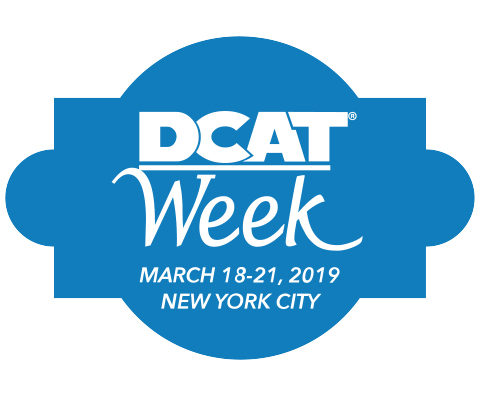 The full issue will be distributed in time for DCAT Week 2019 in New York City and available at www.pharmasalmanac.com. 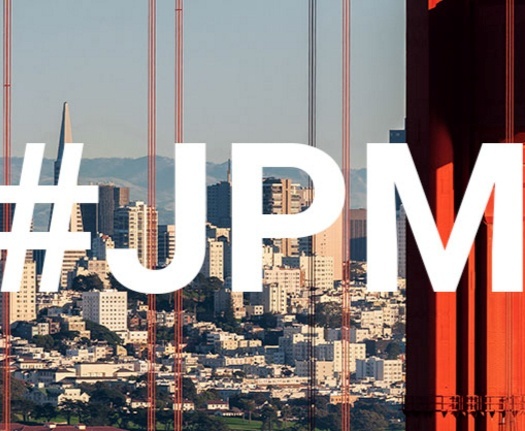 It's the inaugural day of the JP Morgan Healthcare Conference, and we're ready to get a jump start on our next business platform. Pictured here is our managing director, Nigel Walker, who we can only assume has just finished lacing up his running shoes. 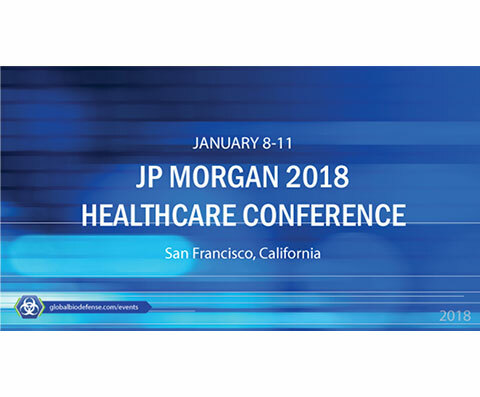 That’s Nice looks forward to attending the JP Morgan Healthcare Conference for the fifth consecutive year. 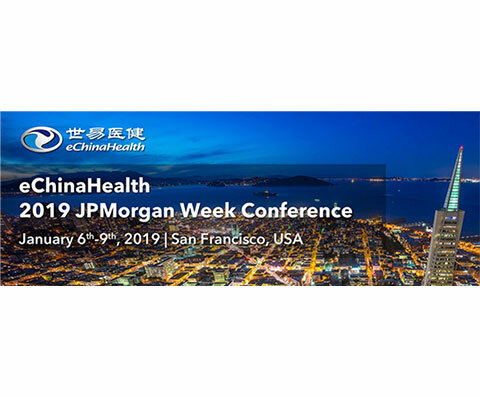 That’s Nice is supporting eChinaHealth, a B2B media company serving China’s chemical, pharmaceutical and life science industries, during the JP Morgan Healthcare Conference in San Francisco, January 6th-10th. 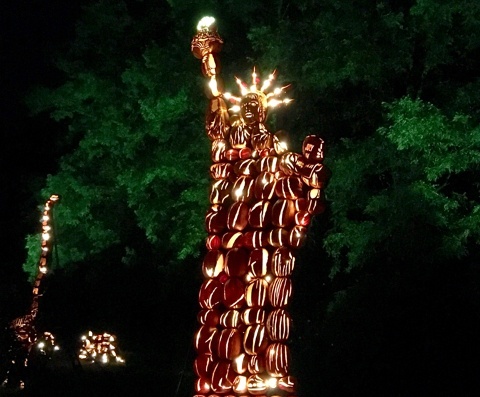 Van Cortlandt Manor, a historic property in Croton-on-Hudson, New York, puts on an amazing jack o'lantern display every year, with more than 10,000 pumpkins on site. Hundreds of thousands of families will visit “The Great Jack O'Lantern Blaze” over a four-week period. 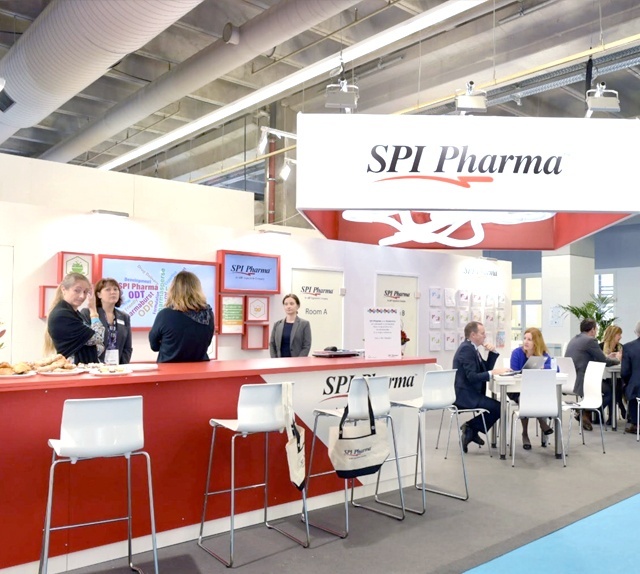 SPI Pharma is one of the key excipient suppliers attending this year’s CPhI Worldwide in Madrid. 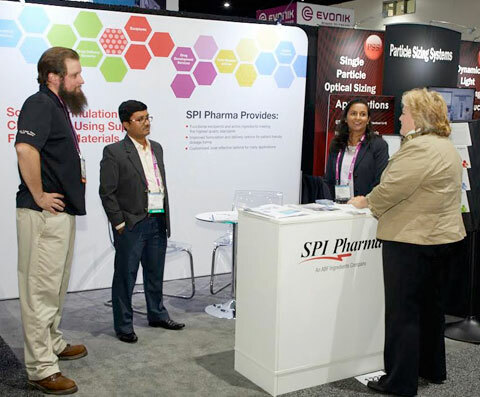 Check them out at stand 8F100 in hall 8 and meet CEO Jeanne Thoma to learn about SPI’s new product launch. 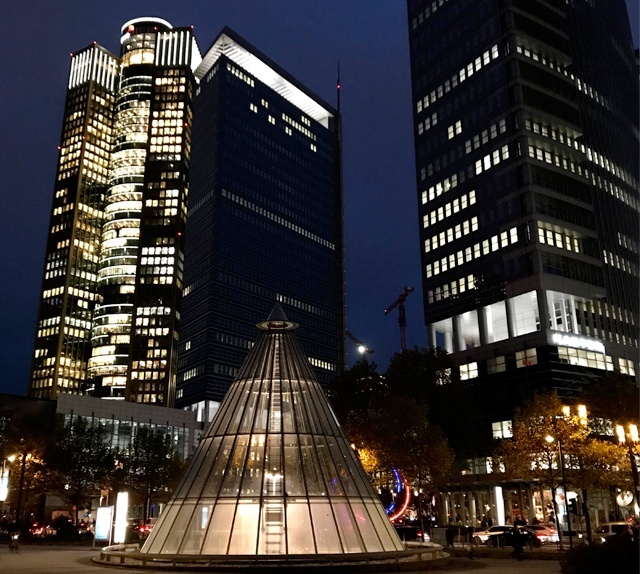 Cenexi has invested heavily over the past few years on new site acquisitions and CapEx investment in Central Europe. Come meet Cenexi’s senior management team, led by CEO Francois Hincker, at stand 3F60 in hall 3. 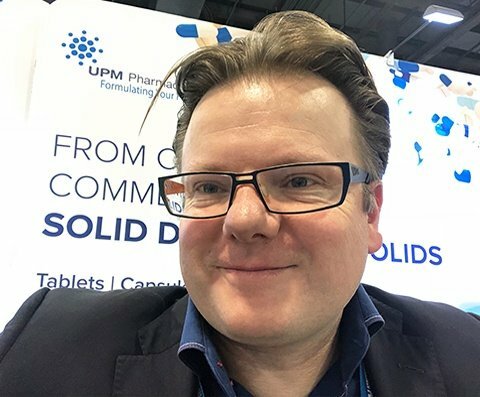 UPM Pharmaceuticals is exhibiting for the first time this year at CPhI Worldwide in Madrid. Come on over and meet the sales team at stand 3H52in hall 3. Servier is in the final stages of setting up in Madrid for the start of CPhI. 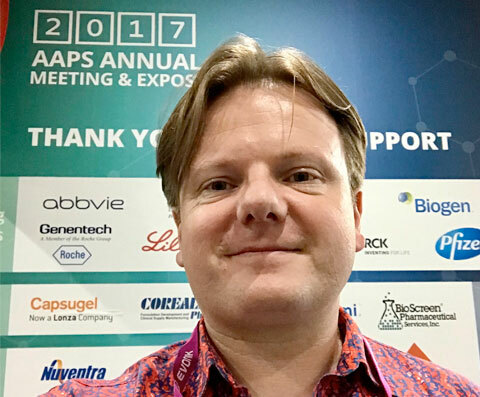 Arnaud Girard has recently taken over as General Manager of the CDMO business, and growth is on the horizon. Come meet the management team this week at stands 1H20 and 1J30 in hall 1. GSK CDMO is putting the finishing touches on its CPhI setup in Madrid. 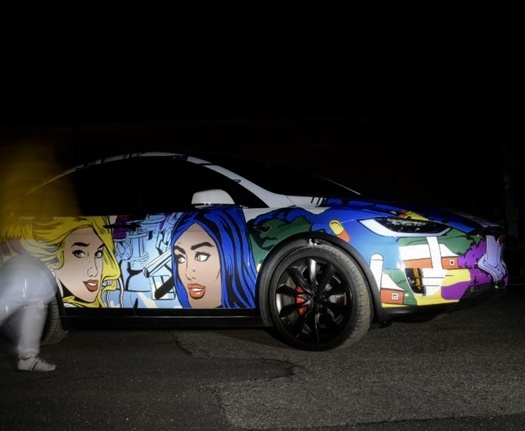 This will be the sixth year That’s Nice has supported the British pharmaceutical giant with its exhibit presence at the industry’s largest annual event. 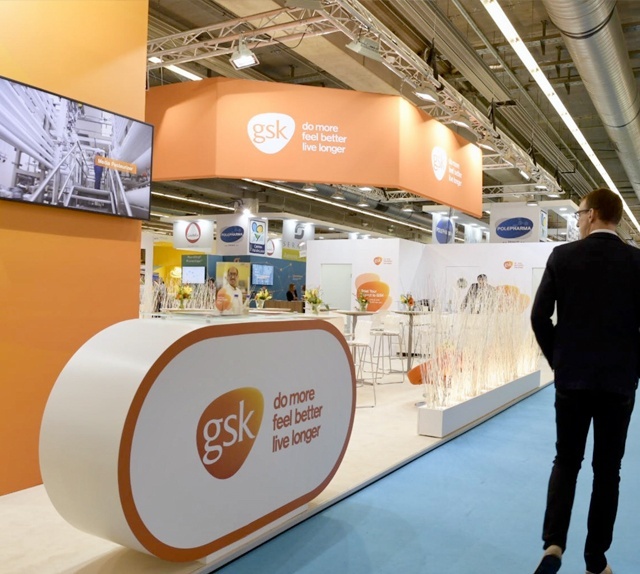 Stop by stand 3C50 to discover the benefits of working with GSK. 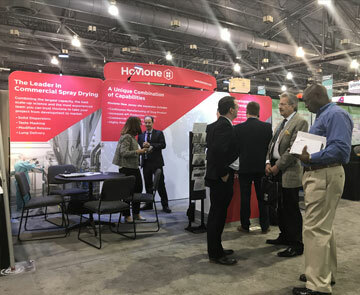 That’s Nice Business Logistics Manager Albert Bruan is on scene at the 17th Annual Contract Pharma Contracting & Outsourcing Conference and Tabletop Exhibition 2018 in New Brunswick, New Jersey. 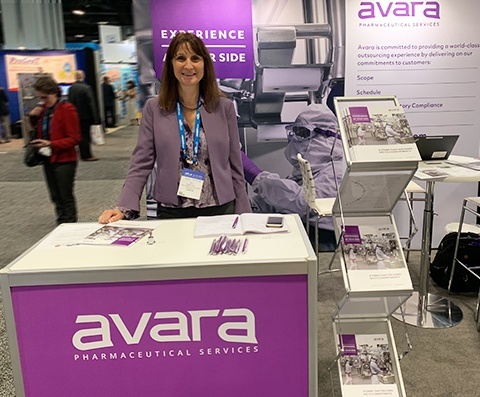 His first stop—Avara Pharmaceuticals table #10! In just two weeks, CPhI Worldwide will welcome 50,000-plus pharma executives back to Madrid. The hair may be shorter (and the weight a bit higher?) 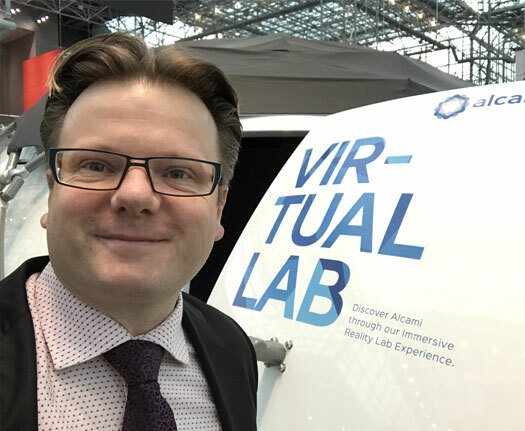 but regardless, we are always looking forward to the opportunity to spend three exciting days with 90 percent of our customers. 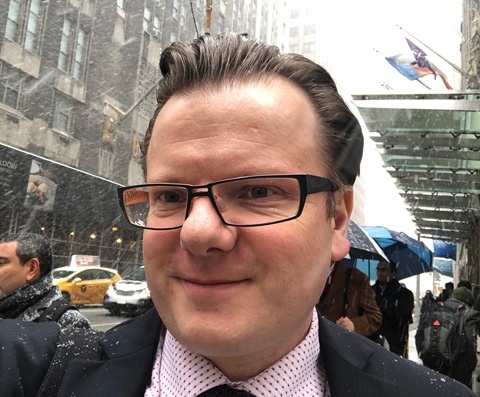 Gwenael Servant, managing director of Servier’s contract manufacturing business, is ready to answer any questions you may have about the company’s Embedded Protection for Your Molecule value offering. 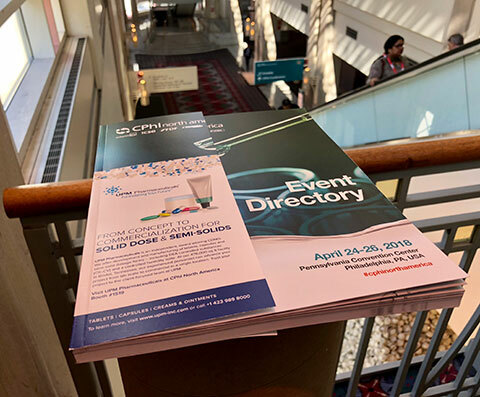 Stop by Servier’s booth #71 to learn more! A lot is happening at Avara following the company’s latest acquisition of Canada’s largest sterile injectables plant and adjacent world-class Center of Excellence for development from Novartis. 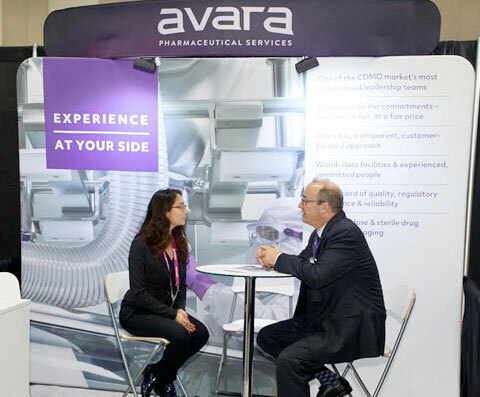 Stop by ChemOutsourcing booth #57 to learn more about Avara’s enhanced sterile processing capabilities and how the CDMO can deliver on your next project! 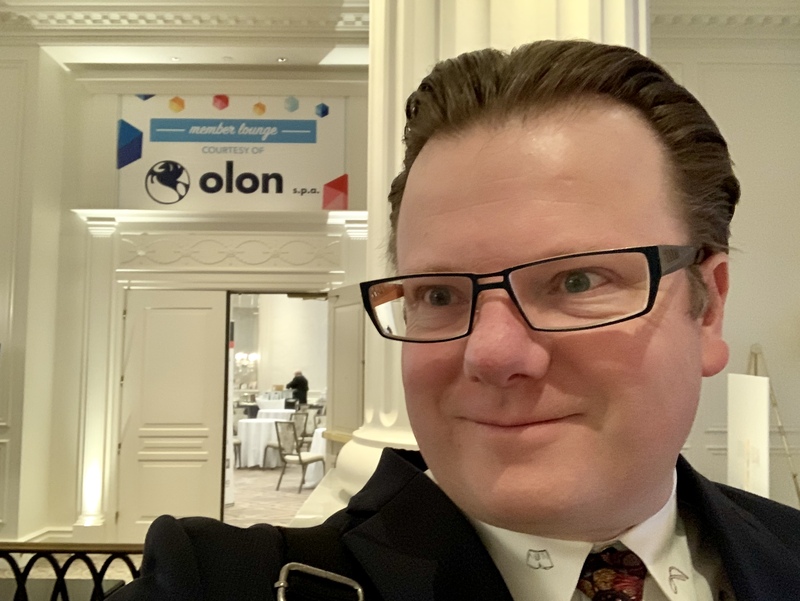 Eugene Hsiu, account executive for That’s Nice, is on scene at ChemOutsourcing in New Jersey preparing our clients for Monday’s event kickoff. Eugene, pictured here, is putting the finishing touches on Servier’s booth #71. 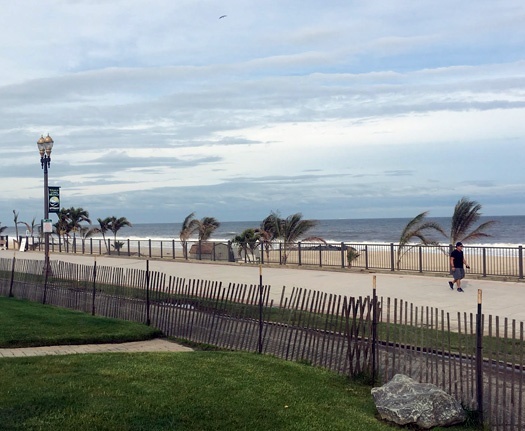 In New York, Labor Day weekend marks the unofficial end of summer, and the official start of the school year. 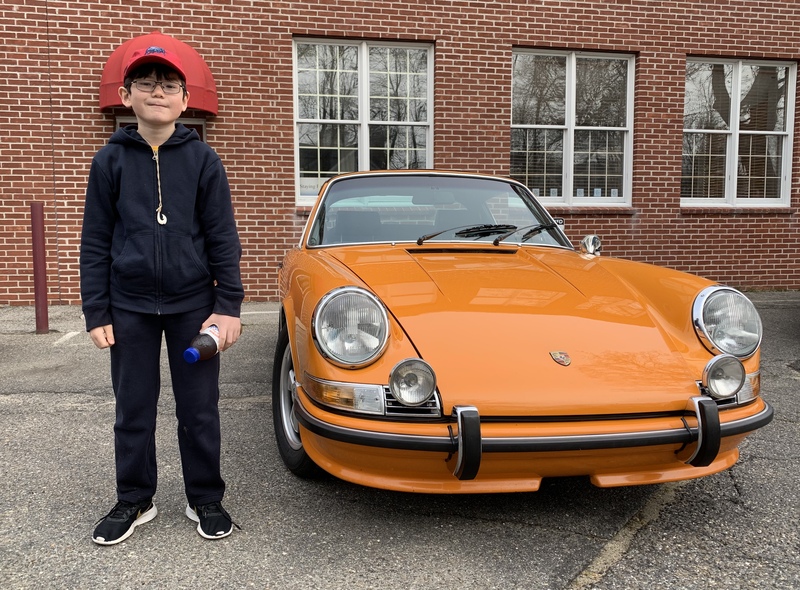 With temperatures well into the 90s this weekend, there was still plenty of summer sunshine to justify one more dip in the pool for Nigel's son Luke before he hits the books on Tuesday. Number 18 Kyle Busch on the M&M team was on fire at Bristol this weekend. Two laps down at the start of the race, he and made it all the way back to second place before crashing out just 16 laps before the checker flag. 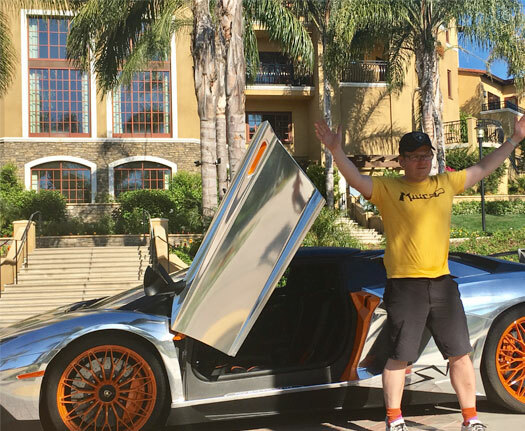 French clients) on their World Cup win! 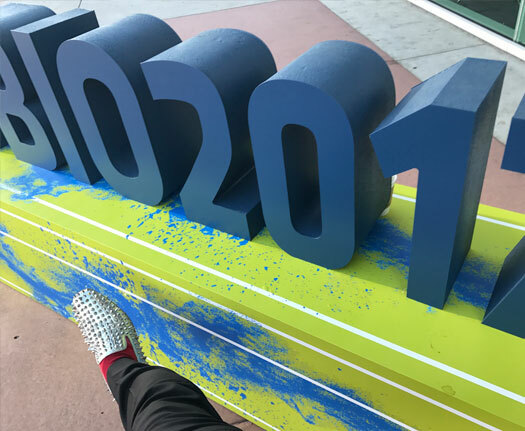 Following Saturday's win over Sweden, England has advanced to the World Cup semi-finals for the first time since 1990 – a feat that has not just the British-born members of our team reveling in this long-awaited triumph. We’ll be cheering on Harry and the boys this Wednesday as the team meets Croatia in Moscow. The stars seem to be in alignment on Nigel's World Cup bracket as Germany is out and England doesn't miss a penalty. 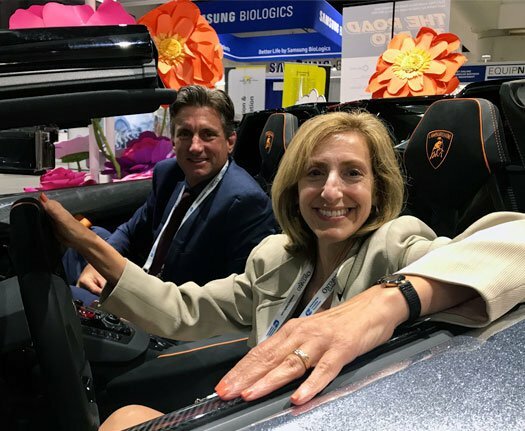 The BIO International Convention has come to a close, and That’s Nice is reflecting on an exhilarating week of business and biotech at the Boston Convention Center where it all took place. 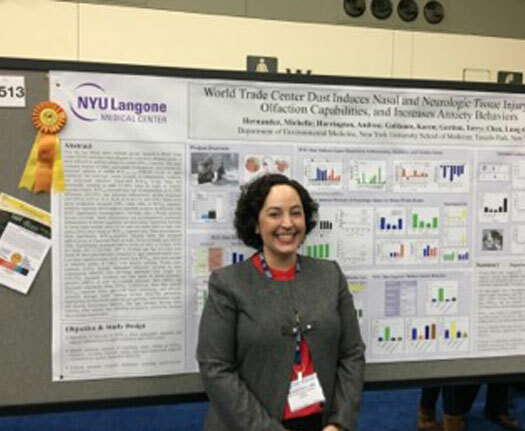 That’s Nice was thrilled to meet so many of our clients and other industry leaders in the biotech hub of Cambridge, Massachusetts during this week’s BIO International Convention in Boston. 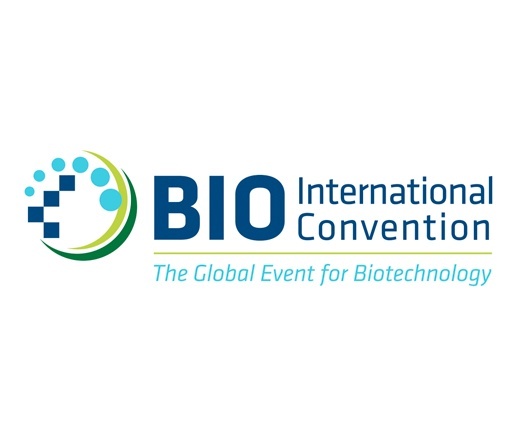 The management team at BioVectra came out in full force at this year’s BIO International Convention following the recent expansion of its biomanufacturing capacity in Windsor, Ontario, Canada. 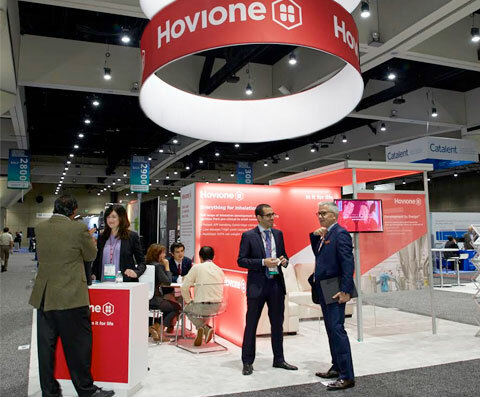 Avara debuted its expanded capabilities at BIO 2018 following its acquisition of Novartis’ sterile manufacturing facility in Canada. 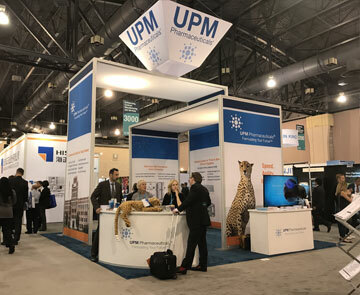 That’s Nice is proud to be supporting UPM Pharmaceuticals at BIO 2018 and other industry events throughout the year. Pictured here are Mary Lee Schiesz, Manager, Business Development for UPM, and Guy Tiene, Business Director and Partner for That’s Nice. 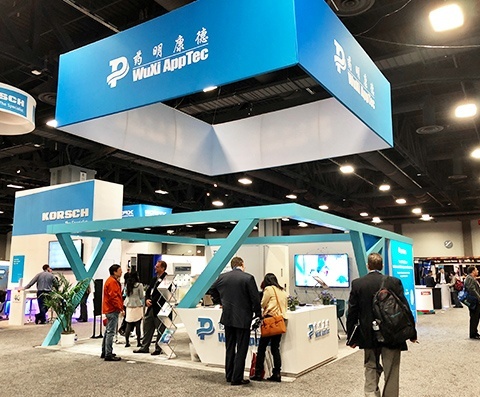 Incheon-based Samsung BioLogics took the prize at BIO 2018, giving yet another winning presentation showcasing the organization’s expertise and leadership in biopharmaceutical manufacturing. 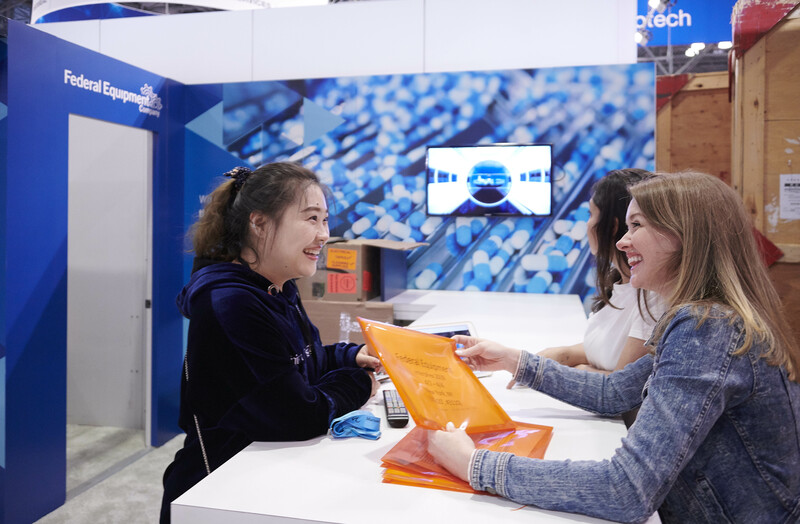 It’s the last day of setup before the BIO International Convention kicks off at the Boston Convention Center June 5th , and the last-minute hustle is in full swing. 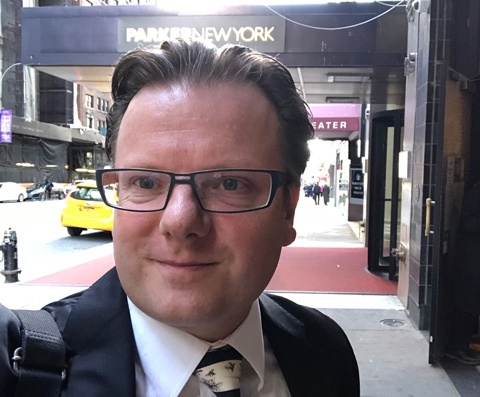 Pictured here is That’s Nice Managing Director Nigel Walker, , who is preparing for a whirlwind week of client meetings and new business development. 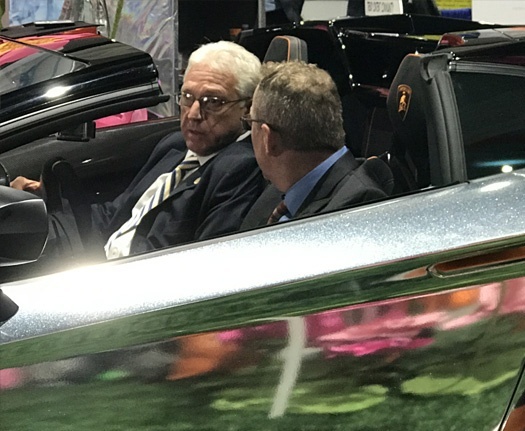 Jim Greenwood, CEO of BIO International, is pictured here at BIO 2017 being interviewed by Steve Kuehn in the glitter-wrapped chrome Lamborghini Roadster. 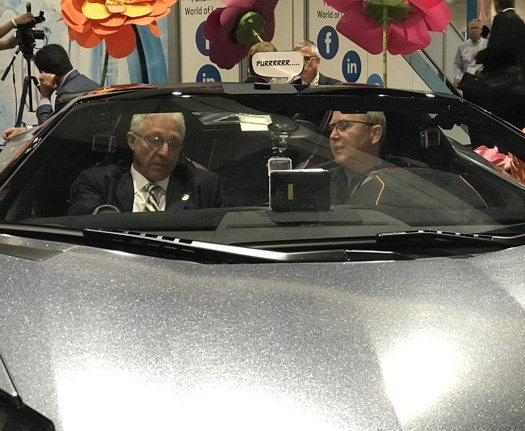 Jim is a powerhouse and leader in the biotech industry and, as we learned in our interview, has a passion for a 1973 E-Type Jaguar. 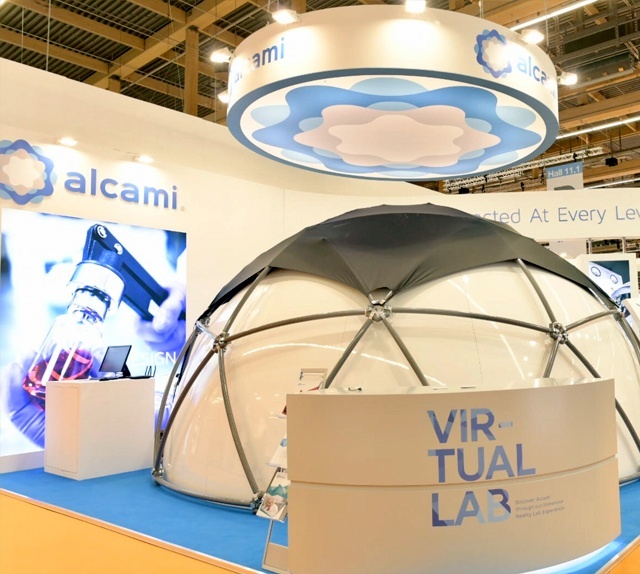 Visit Alcami at BIO International in Boston, June 5th-7th , in booth #267. 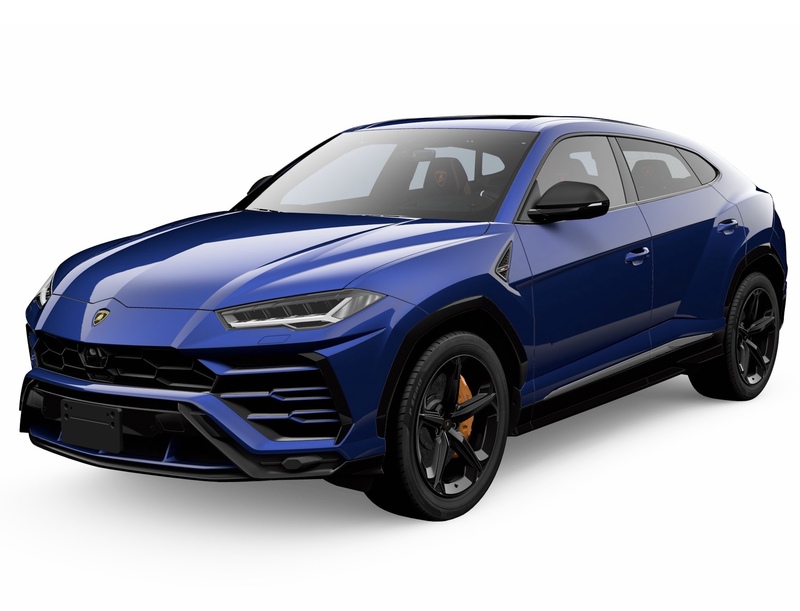 Alcami is continuing to enhance the experience for its customers with the implementation of an on-demand customer portal. 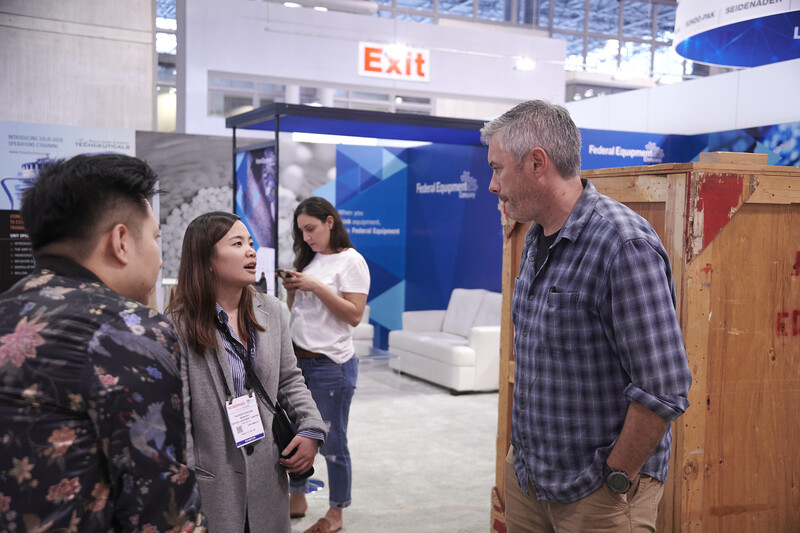 BioVectra , the “Refreshingly Adaptable CDMO” led by President Oliver Technow, will be exhibiting at BIO 2018 in Boston June 5th-7th . 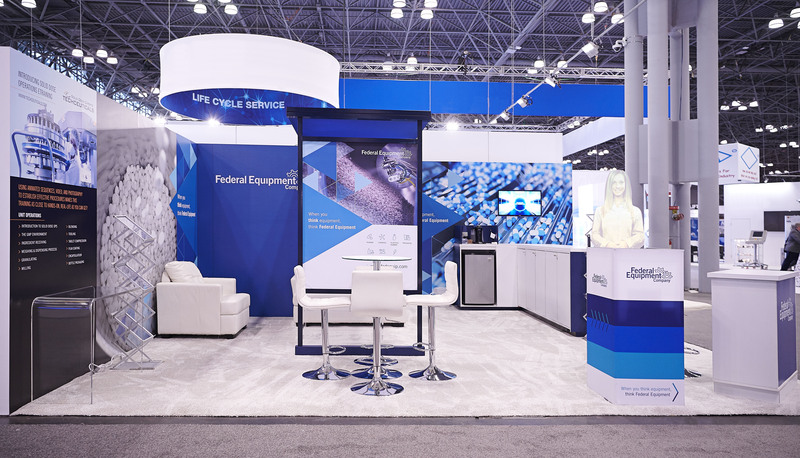 Stop by booth #1215 to learn more about BioVectra and the organization’s microbial fermentation capabilities. 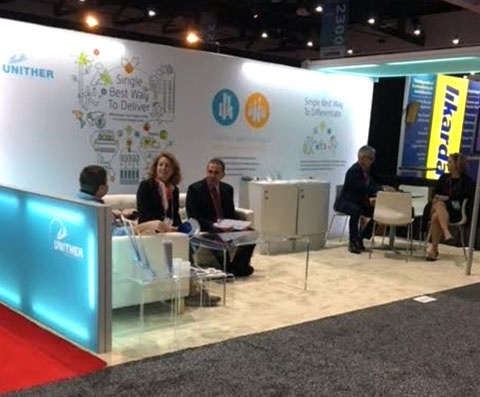 If you’re attending BIO 2018, be sure to visit booth #1155 to see what’s happening at Rentschler BioPharma and get to know the senior leadership—Dr. Thomas Rösch, Vice President Biopharma Engineering & Technology; Federico Pollano, SVP of Business Development; Frank Mathias, CEO and Ralf Otto, COO. Karen Fallen, Vice President, Business Unit Head of Clinical Development & Manufacturing at Lonza, describes how biopharmaceuticalcompanies can overcome challenges inherent to complex biologic drug candidates. 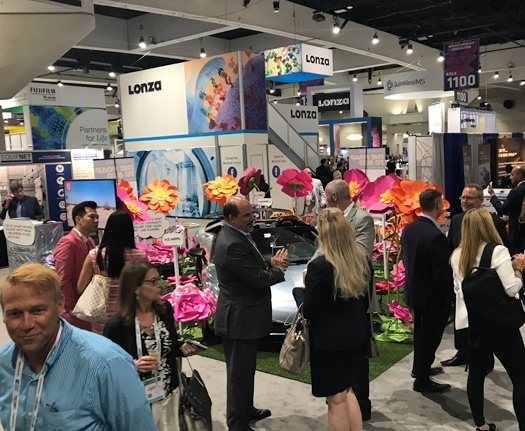 To learn more about Lonza, visit www.lonza.com or, better yet, visit the team at BIO booth # 563! 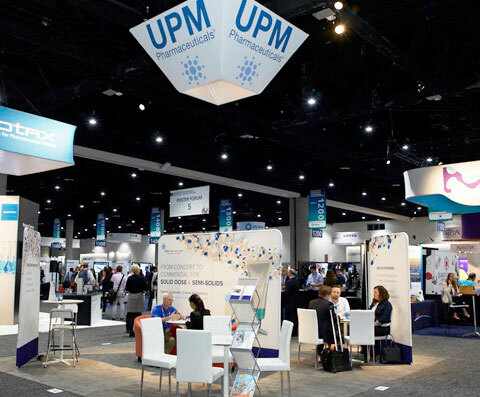 Visit UPM Pharmaceuticals at BIO International in Boston June 5th-7th —booth# 903. UPM will be exhibiting at BIO for the first time and we look forward to supporting the team. 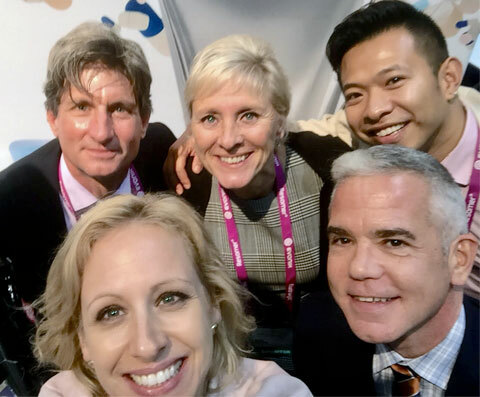 CPhI North America has come to a close. 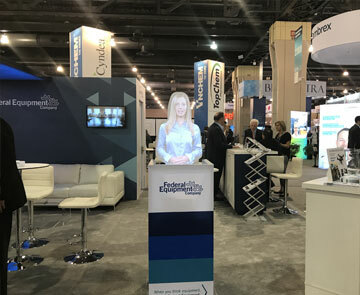 Congratulations to our clients and the industry for another successful show! 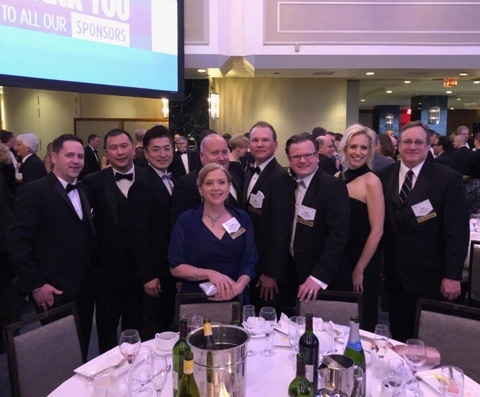 That’s Nice is celebrating with the team from UPM Pharmaceuticals, which was featured on the cover tip of this year’s show guide. 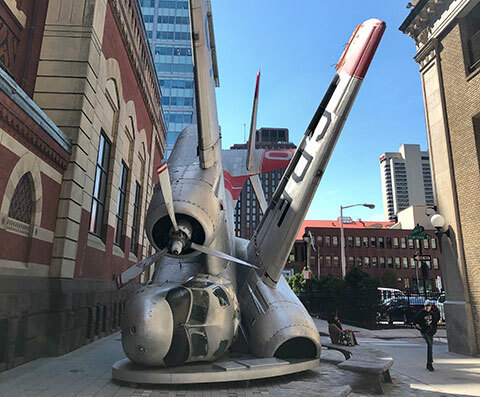 Displayed just outside of the Philadelphia Convention Center is the Grumman Greenhouse, a decommissioned cold war era Naval plane that was transformed into a greenhouse by local artist Jordan Griska. Inside the plane are nutritive and medicinal plants, the edible of which are provided to low-income families through City Harvest. 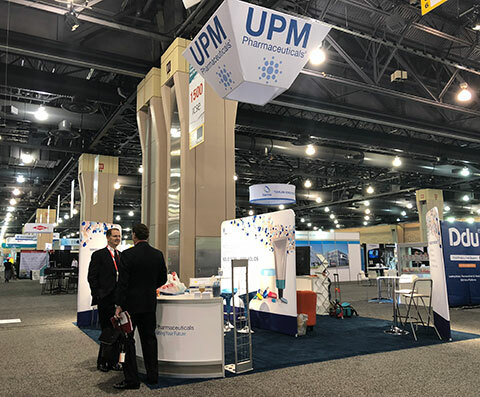 Trade show attendees gather in front of the UPM Pharmaceuticals booth at CPhI North America in Philadelphia. 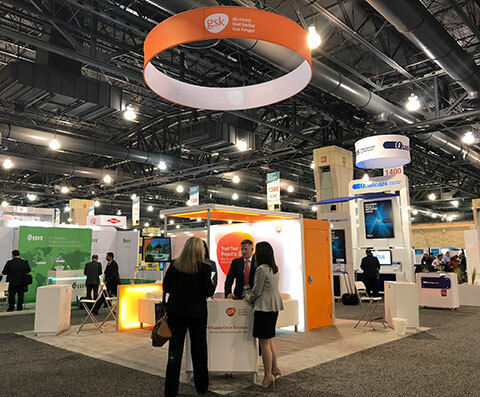 The GSK booth is a glowing orange at the CPhI North America show. 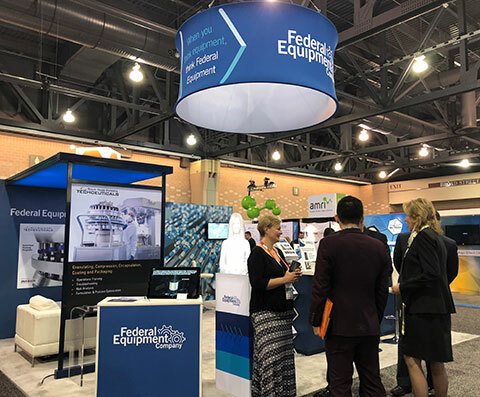 There's a navy blue motif for the Federal Equipment Company booth at CPhI NA. 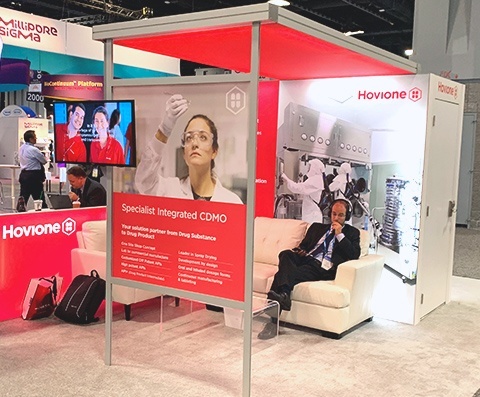 The Hovione booth is pictured at CPhI North America. 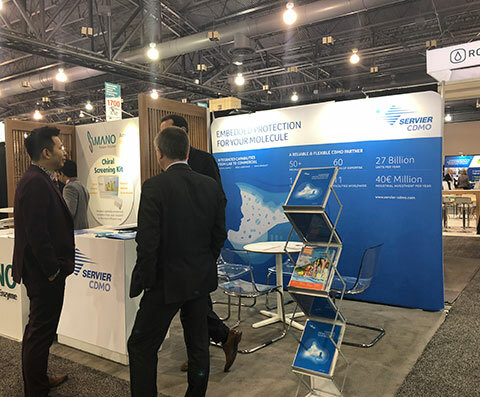 The tradeshow floor is bustling at CPhI North America, especially in front of the Servier CDMO booth. 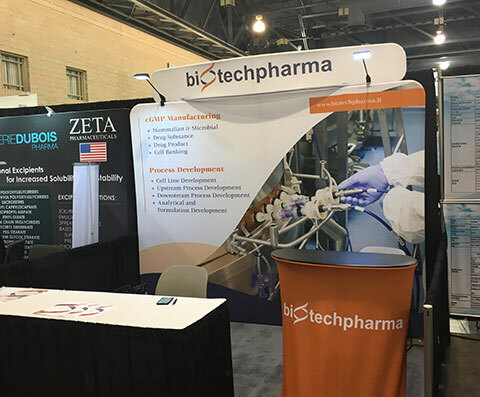 Biotech Pharma lists their capabilities to initiate conversation with attendees at CPhI North America. 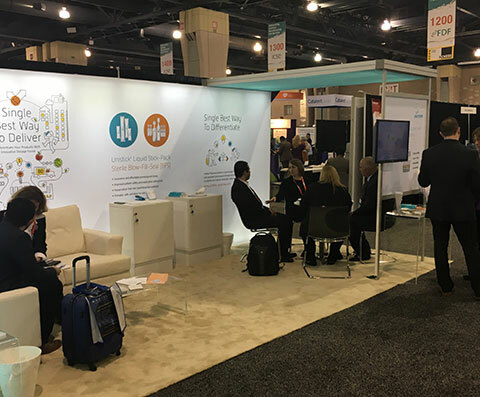 Unither is illustrated at CPhI North America, a booth that's attracting quite the crowd! 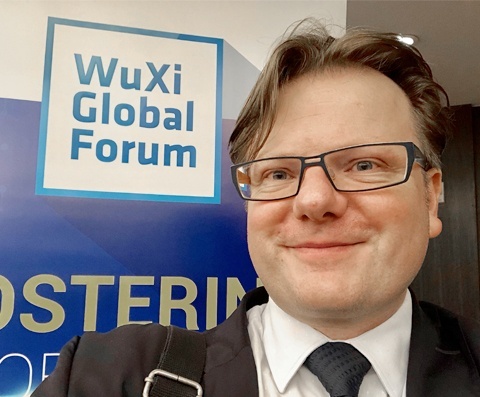 Guy Tiene is on site at the WuXi AppTec Expansion site in Cranberry New Jersey. 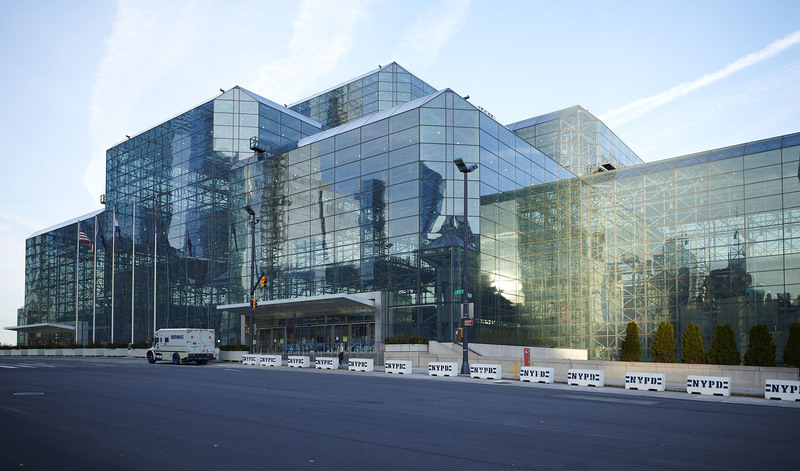 Today marks the first day of Interphex 2018, the premier event for pharmaceutical, biotechnology, and medical device development and manufacturing. 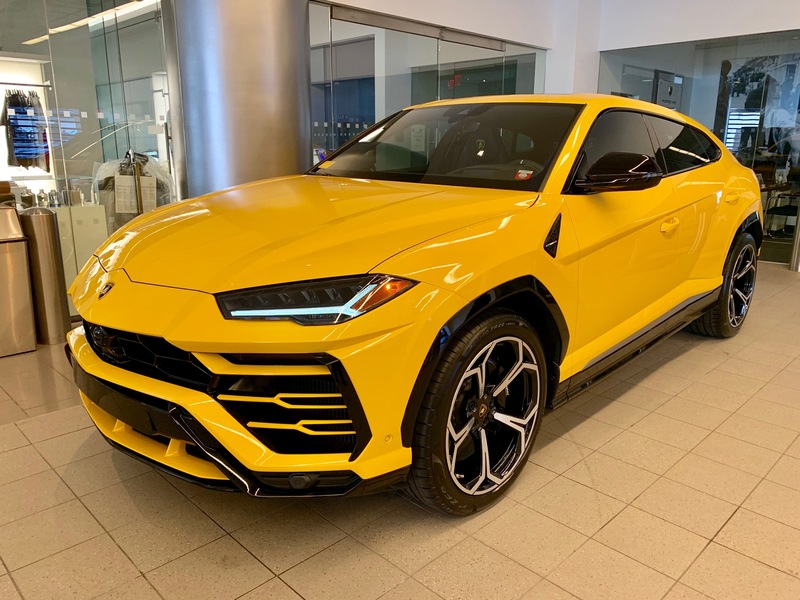 We are noticing slightly fewer CDMOs this year, but, as is to be expected, there is plenty of new equipment on display. 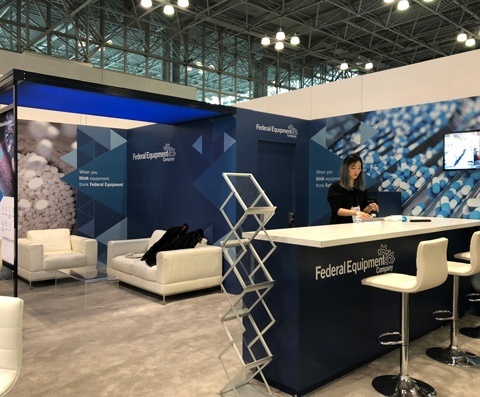 That’s Nice is proud to support Federal Equipment Company at this year’s Interphex. 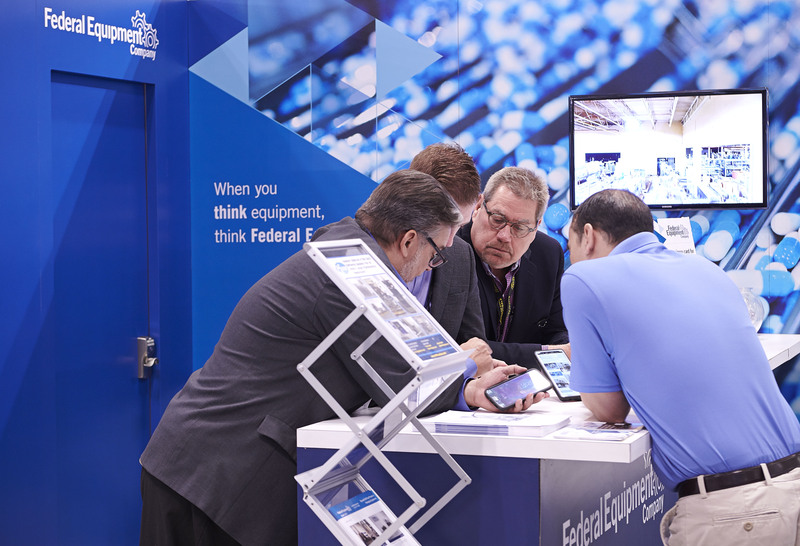 Check out booth #3110 to learn how sourcing used equipment from a reputable supplier like Federal Equipment Company can save you significant costs and lead time. 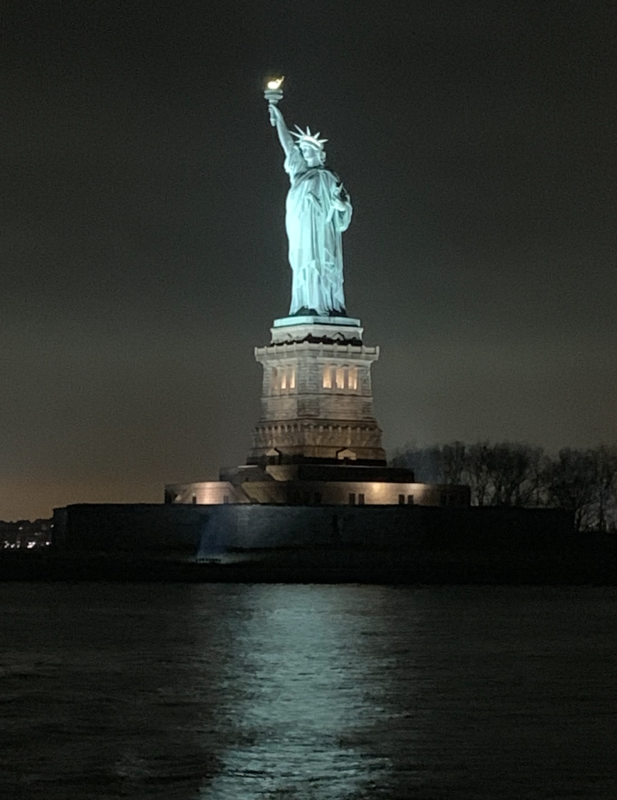 That's Nice is supporting customers at Interphex 2018 in New York City. 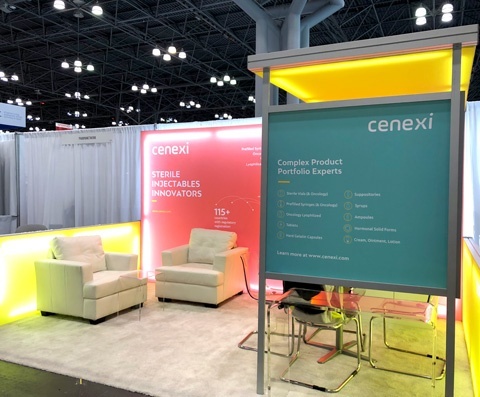 If you’re at the event, take a walk over to Cenexi’s booth #1131. 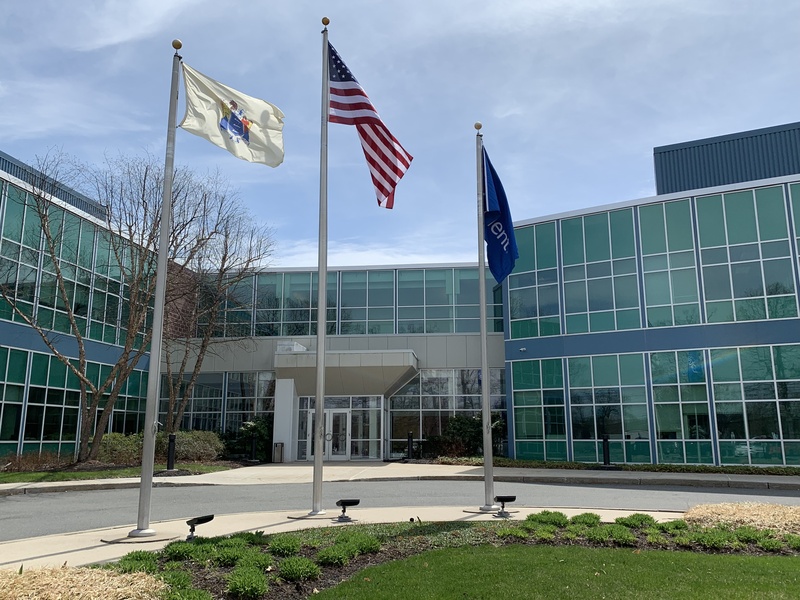 The CDMO recently expanded its production capacity for sterile syringes and ampoules with the acquisition of a world-class steriles facility in 2017. 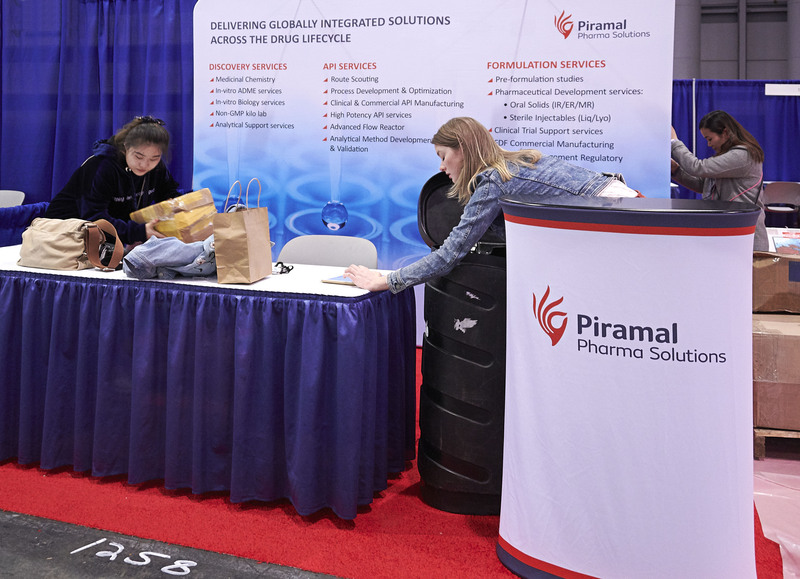 Pirmal Pharma Solutions is exhibiting at Interphex 2018 in New York City. 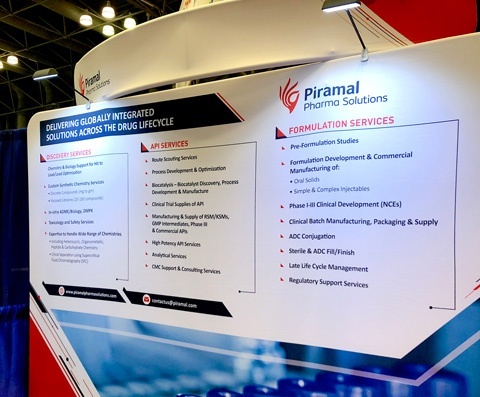 If you’re at the show, stop by booth #1258 to learn how Piramal’s discovery, API and formulation services can support your project. 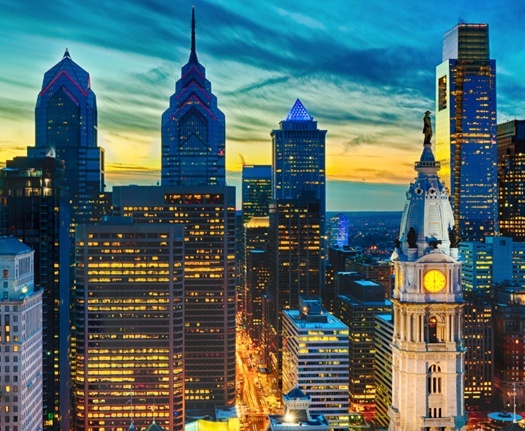 Albert Braun points out the Philadelphia Convention Center, ahead of CPhI North America. 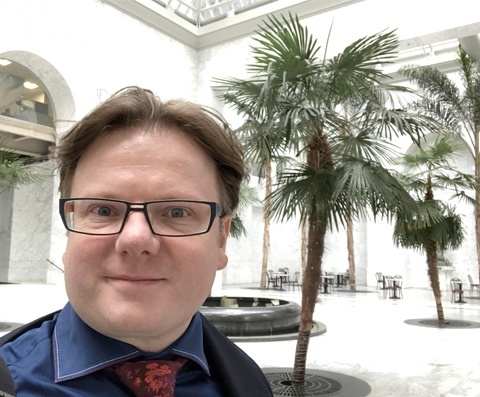 Business Logistics Manager Albert Braun, headed to Philidelphia this weekend and decided to stop by the city's convention center, which is the site of CPhI North America. 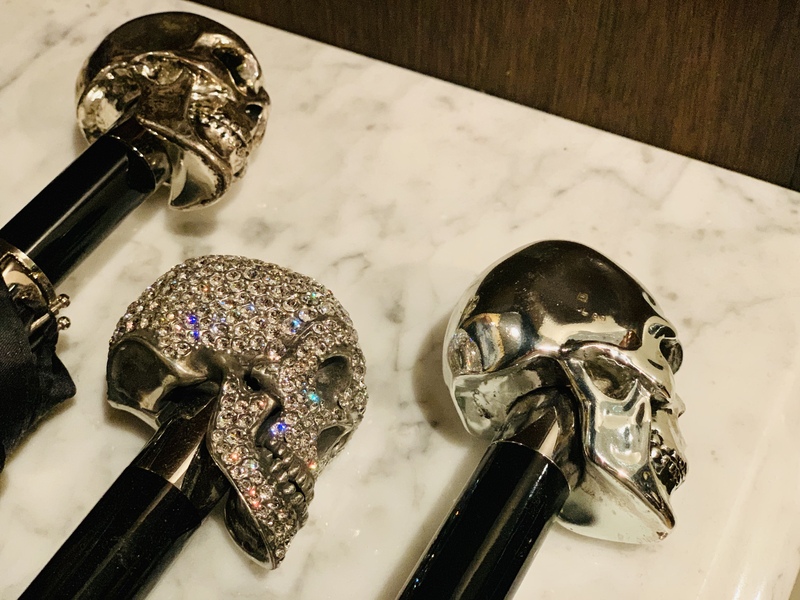 We're all looking forward to the show this May! 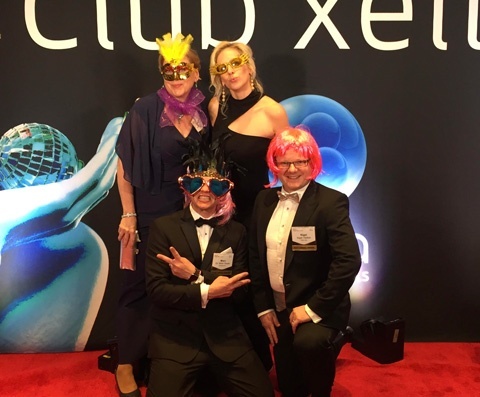 The party continued into the night at the Xellia Pharmaceuticals post-DCAT dinner party. We’ll avoid naming names, but pictured here are members of the That’s Nice, UPM and BioVectra teams. 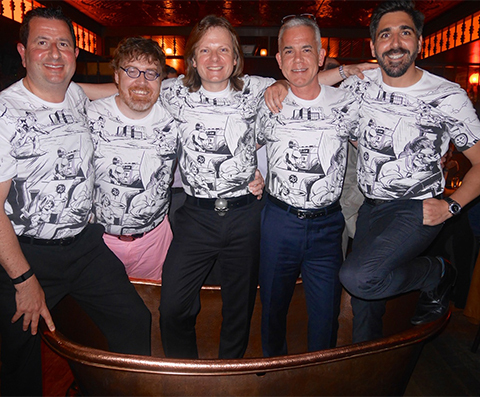 That’s Nice attended Xellia Pharmaceuticals’ DCAT party on Thursday evening in New York City. 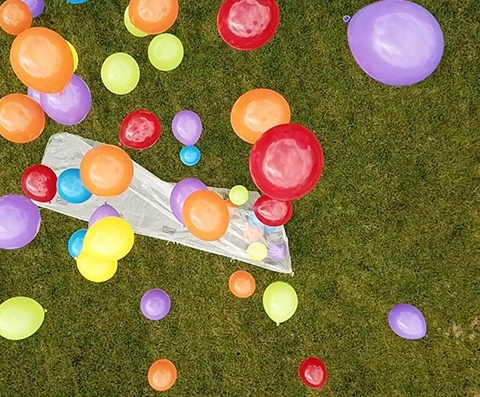 After a bustling week of business, the buzzing atmosphere was a great excuse to let loose. Actor, singer, producer and philanthropist Will Smith was this year’s Annual DCAT Dinner speaker. 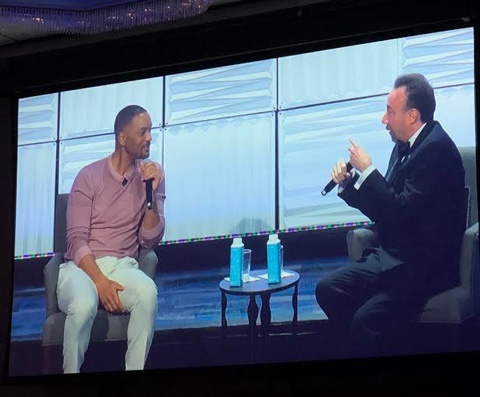 Smith discussed his early life, career and the work of The Will and Jada Foundation in an inspirational and entertaining sit-down. 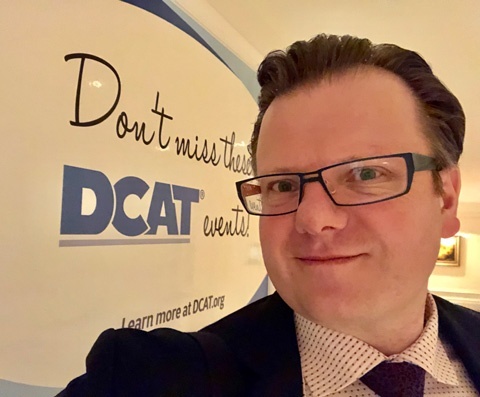 Dressed to the nines, That’s Nice had the opportunity to attend the 92nd DCAT Annual Dinner on Thursday evening with the BioVectra senior management team. As we head toward the latter end of DCAT Week, we are invigorated by the number of companies coming together to discuss future business. 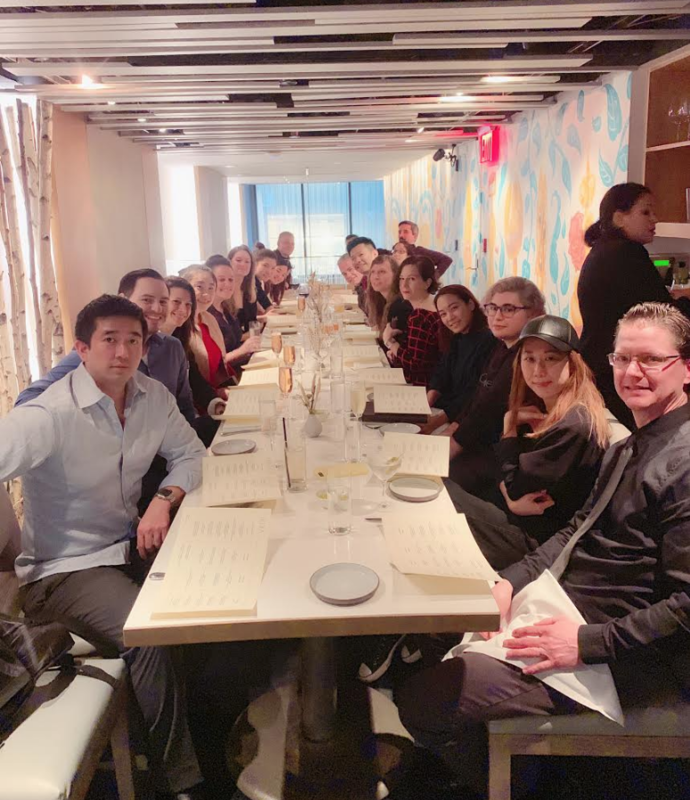 Despite the snow, we’re seeing more companies than ever! 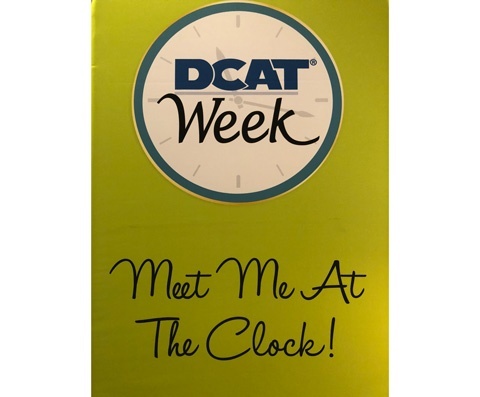 DCAT reports over 10,000 industry professionals from more than 700 companies are in New York City for the highly anticipated DCAT Week 2018, transforming the famous Grand Central clock from a time-honored meeting point into an epicenter of innovation—if only for the week. 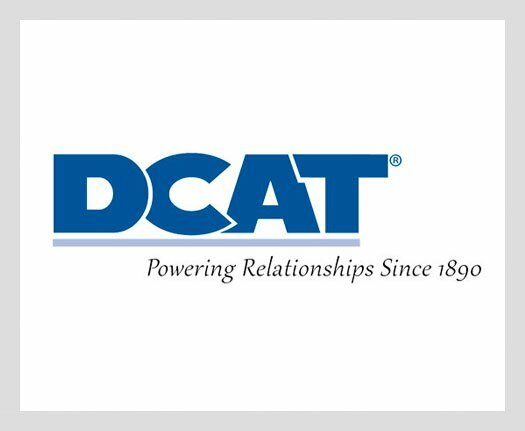 It seems rain, snow and slush has become as much a staple of DCAT Week as the opportunity it represents. 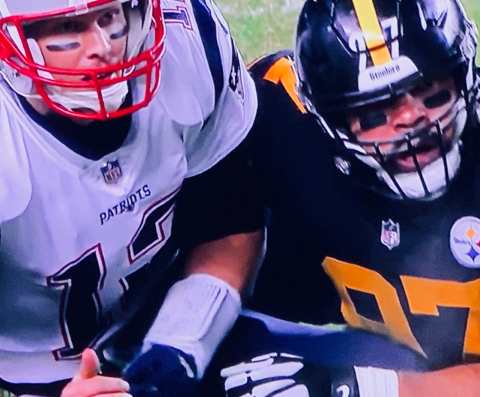 It’s no surprise, then, that New York’s fourth Nor’easter of the season has fallen right in the middle of DCAT Week 2018. 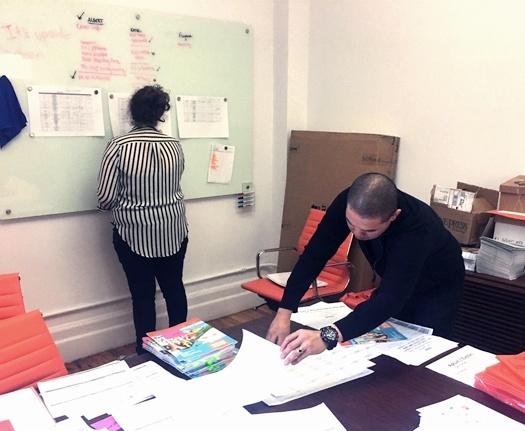 With many of our clients coming to New York for one of the industry's most highly anticipated annual events, the team at That's Nice is in full prep mode, finalizing calendars, assembling meeting materials and (eventually) tidying up the office for what is sure to be a whirlwind week. 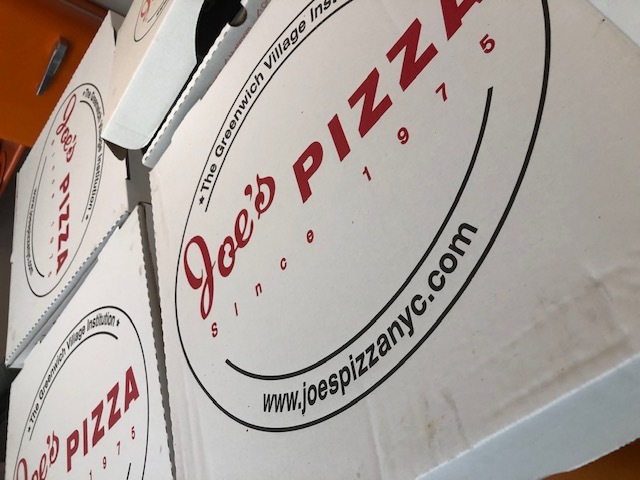 We hope to see you in New York! 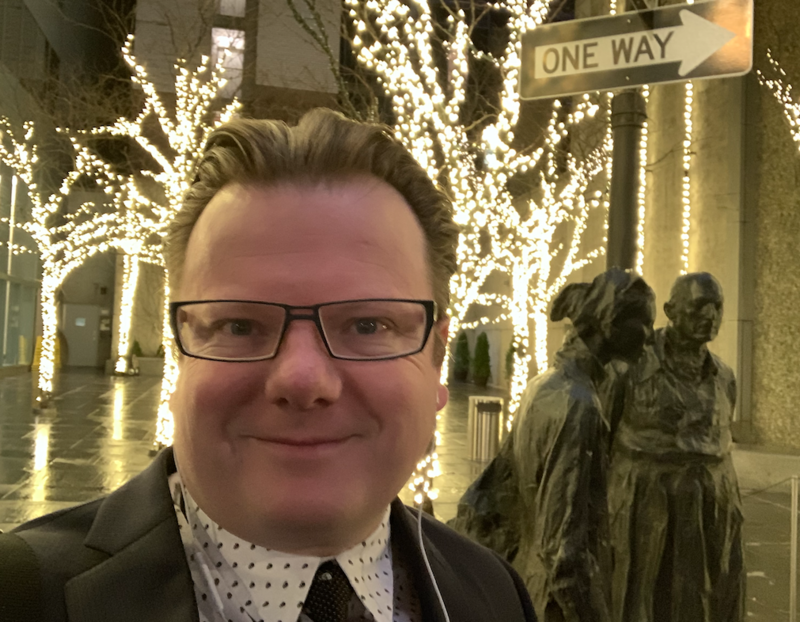 Today is the last day of the J.P. Morgan Healthcare Conference, and Nigel is heading back to New York to follow up on the week's activities. 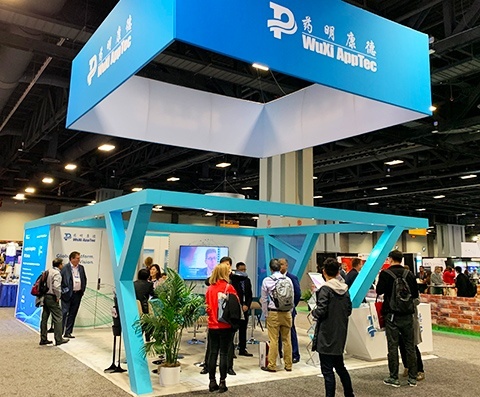 That's Nice is proud to be supporting WuXi AppTec's Laboratory Testing Division during the J.P. Morgan Healthcare Conference. 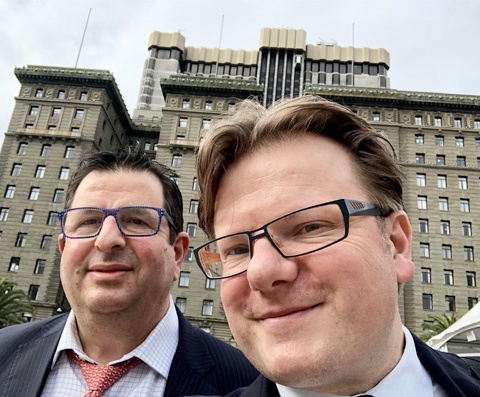 Pictured here outside of the Westin St. Francis, our business partner Haig Armaghanian and managing director Nigel Walker are catching up for first time in 2018 at the J.P. Morgan Healthcare Conference. 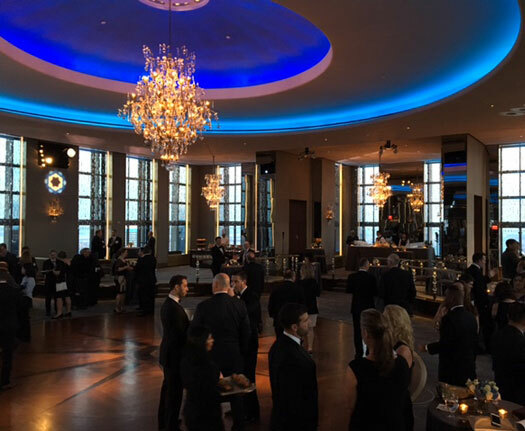 AAPS has drawn to a close, marking the unofficial year-end stretch for That's Nice and our clients. After a successful show, there is still plenty of work to be done as we start to close out the year. 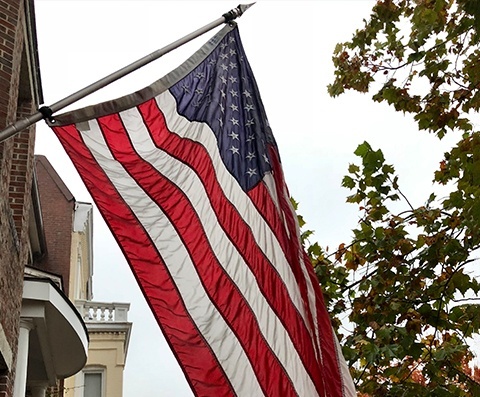 The Annual AAPS Show is on its final day. 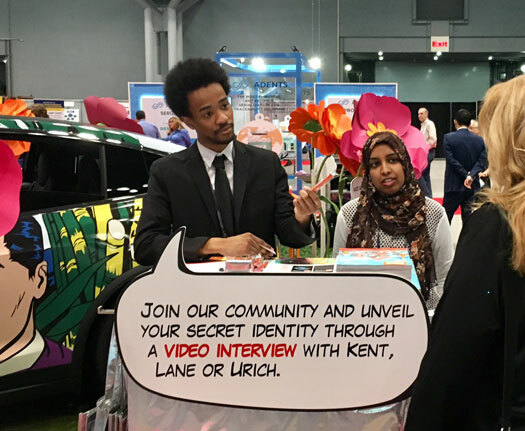 We enjoyed meeting you all! The last major trade show of the year is in full effect and the That's Nice team is busy with meetings. Avara is continuously expanding its global footprint—and with it, its capabilities as a world-class CDMO. 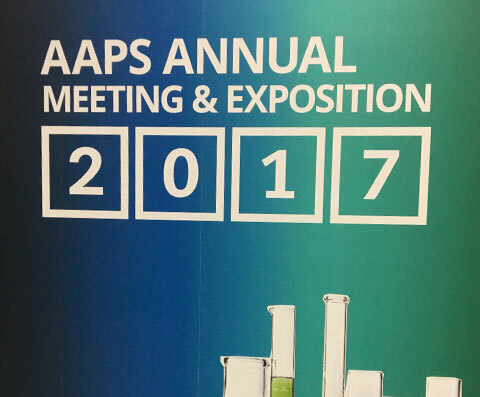 Reporting live from Avara’s AAPS 2017 booth is Emilie Branch, Scientific Content Manager for That’s Nice. 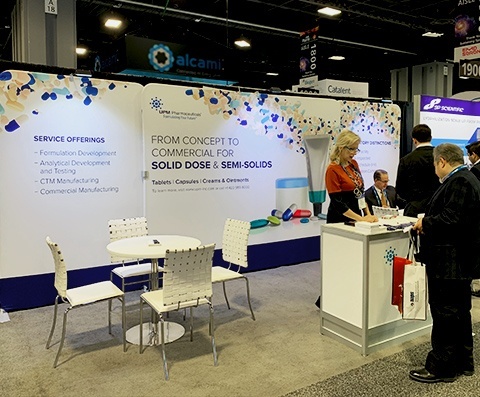 The family-owned CDMO is showcasing its end-to-end capabilities in solid dose and semi-solids from their popup booth at this year’s AAPS Annual Meeting. 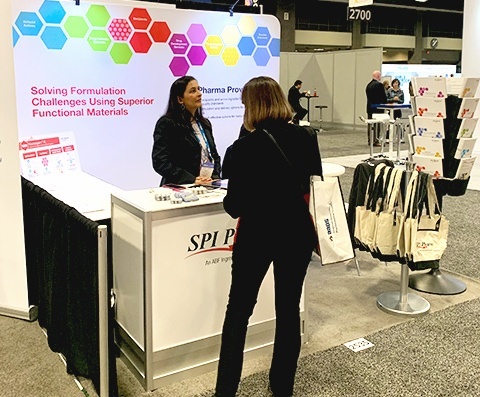 SPI Pharma is exhibiting at this year’s AAPS Annual Meeting by showcasing its capabilities in solving complex formulation challenges with efficiency and service. 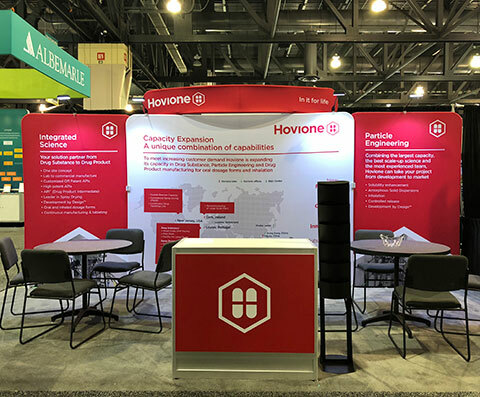 Hovione’s capabilities in inhalation and commercial spray drying are on full display from the company’s corner booth at AAPS. 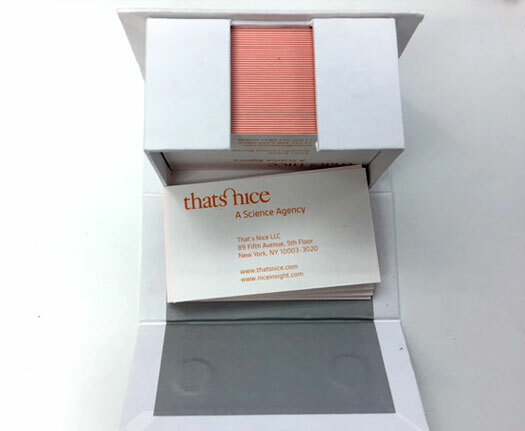 Guy Tiene, Strategic Content Director & Partner for That’s Nice, stopped by for a visit while making the rounds. 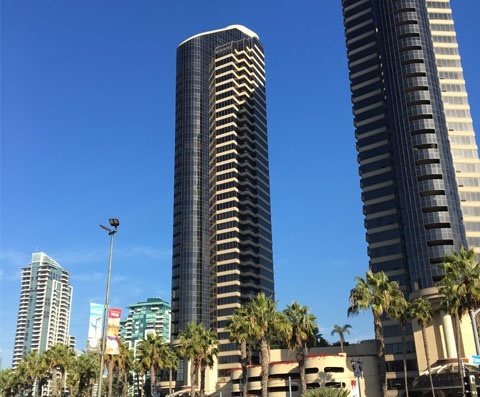 Unither Pharmaceuticals is at booth 2515 - come see them at AAPS in San Diego! 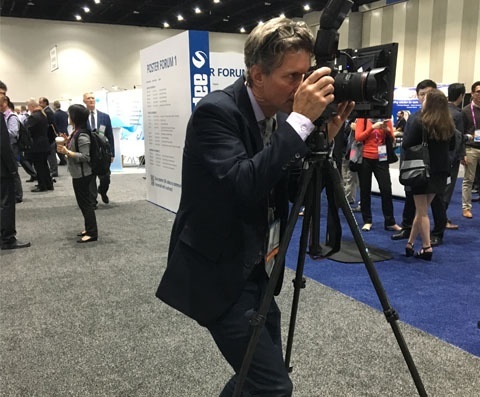 Director of Digital Capture, Brian Pierce, shoots the show floor of AAPS. 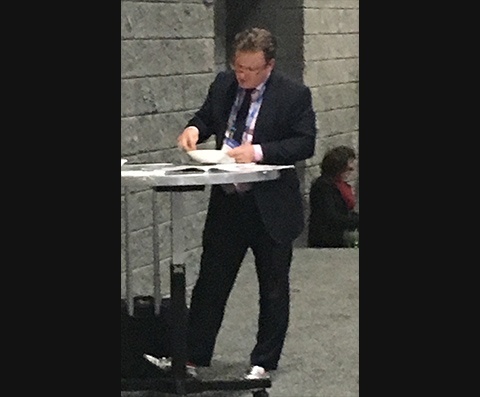 Reporting live from the San Diego Convention Center on the evening before AAPS, Nigel confirmed all was in order and, most importantly, that our clients’ booths are looking good. 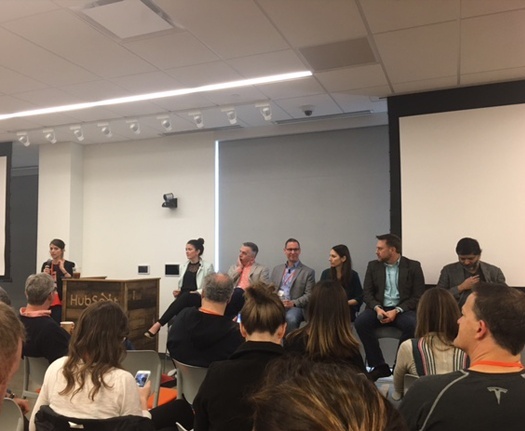 That’s Nice is excited to be kicking off this last key event of the year. 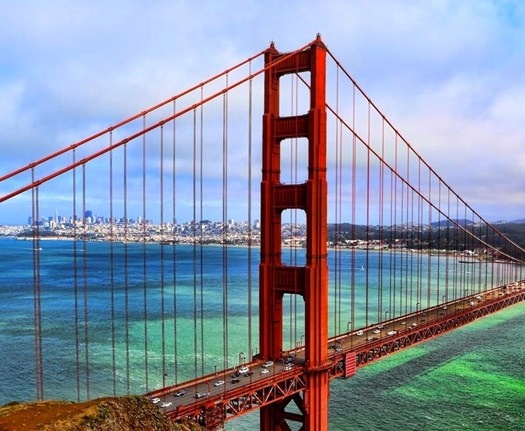 The team is getting ready for AAPS in San Diego. The show begins this Monday! 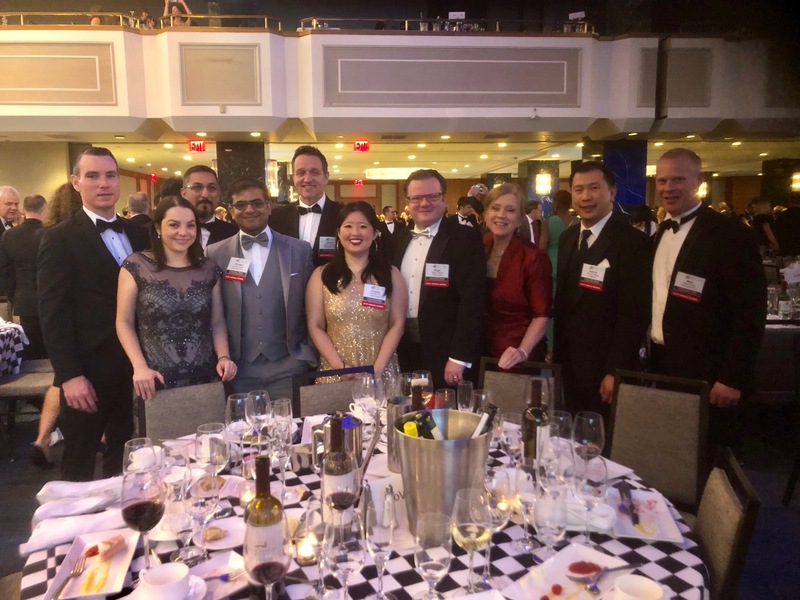 The Marken team has now taken a leading position in the Clinical Supply Chain Logistics space, as moving Biologics, and injectable drugs needs great care. 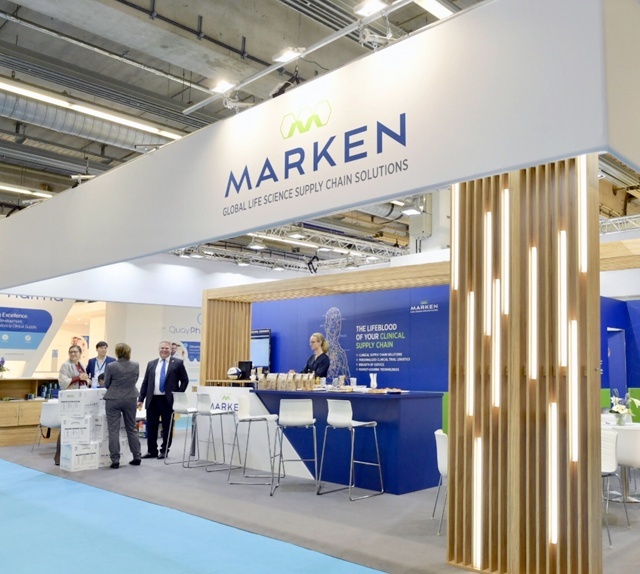 CPhI was the big push for Marken this year, and they will continue to grow with the support of their new parent UPS. 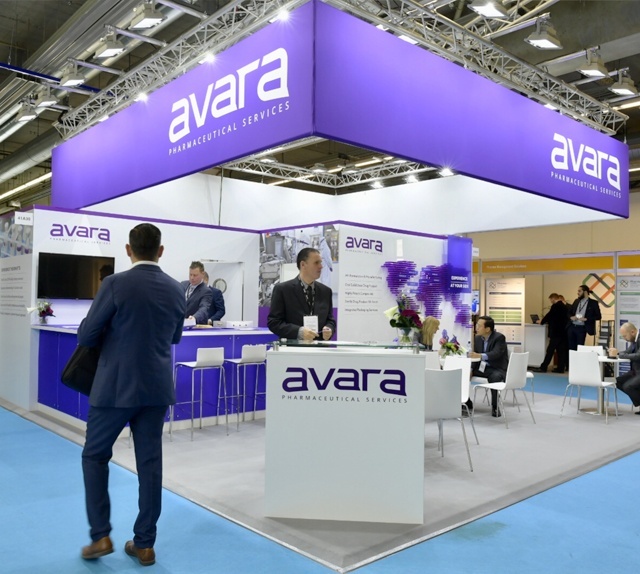 Expanding CDMO Avara Pharmaceutical Services was shining bright at CPhI with a well-lit booth location that complemented the organization's vibrant color scheme. 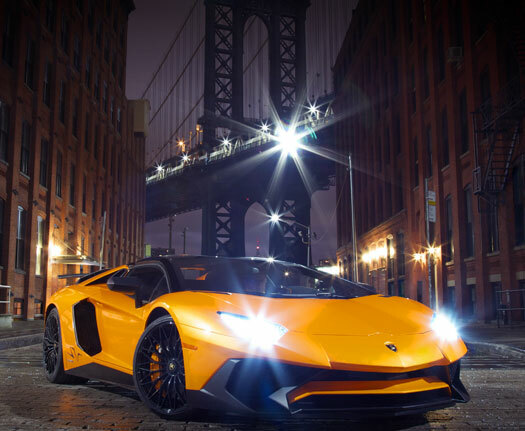 The company is continuing to grow with the recent addition of several facilities in the U.S. and Europe. 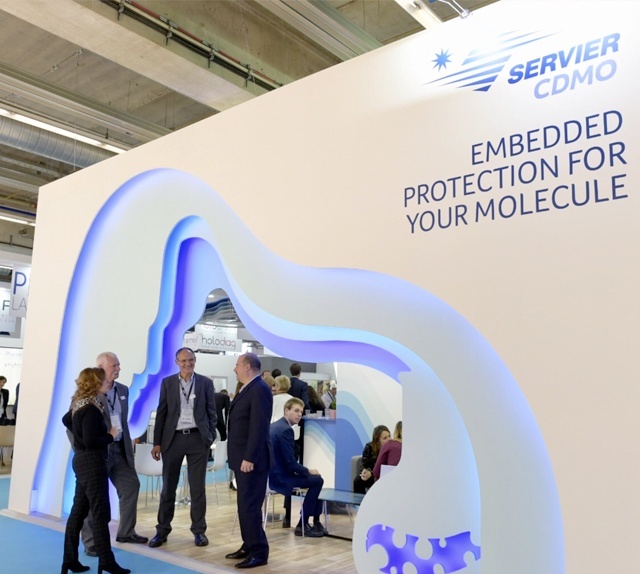 Gwenael Servant and the rest of the team Servier CDMO team was front and center at CPhI. 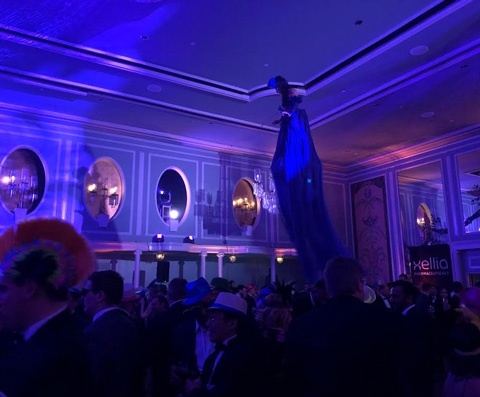 So much to offer the industry as Servier moves forward on new opportunities. SPI Pharma appoints new CEO, Jeanne Thoma, a season veteran from Lonza, recently placed to sculpt the next stage of growth. CPhI a key event for the excipients companies. As the Alcami train continues to gather steam, the commercial team are continuing to grow and add on key staff for their next stage of growth. 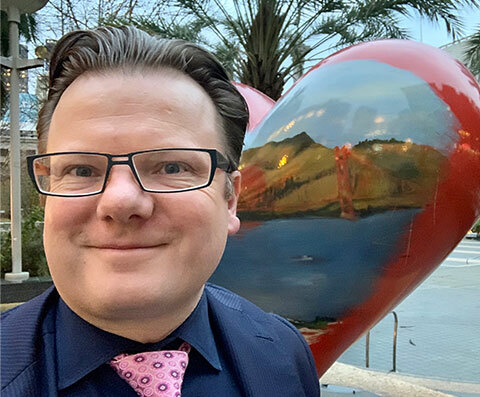 John Bolla the senior executive at GSK Third Party sales has developed the new direction for GSK, and with the sales team they see picture opening up. CPhI Worldwide was important for the team to show off the new team. 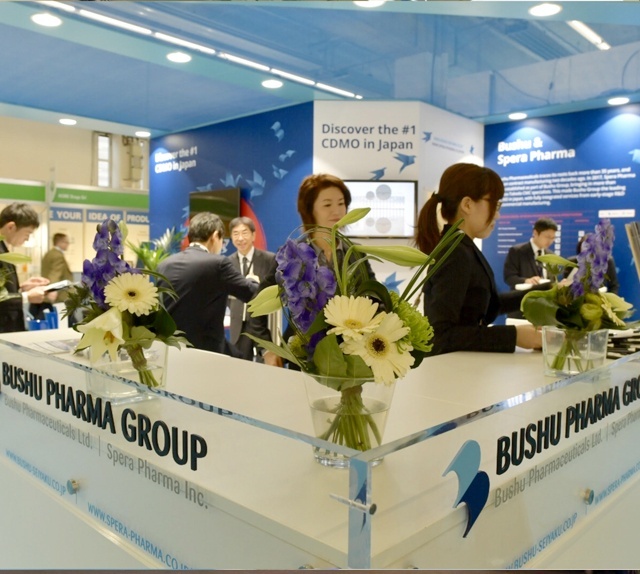 Bushu, with Manufacturing and Spera with Drug Discovery and Development services are leading the Japanese CDMO space. 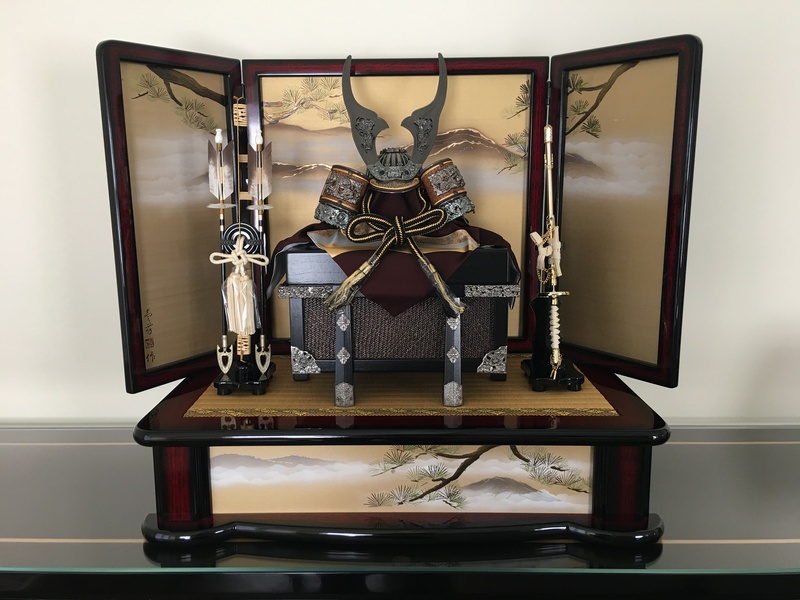 Baring Private Equity Asia are looking for growth and Japan is ready. 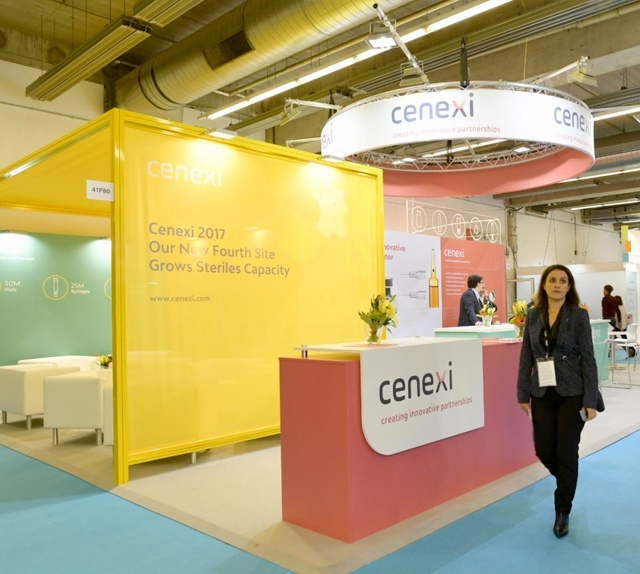 With a new CEO, Francois Hincker, Cenexi expanded capabilities were on display at CPhI worldwide. 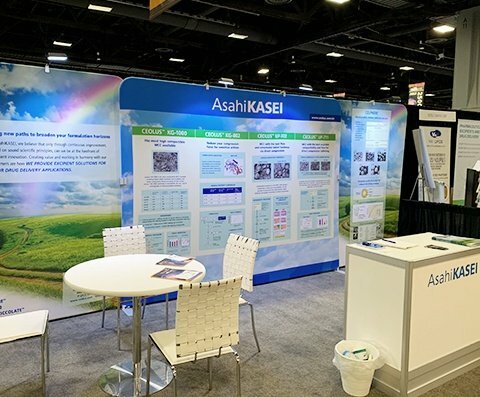 A successful show for all, as this diversified CDMO is in growth mode. 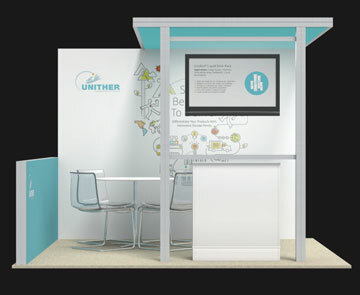 Come visit the Unither management team at CPhI Worldwide. 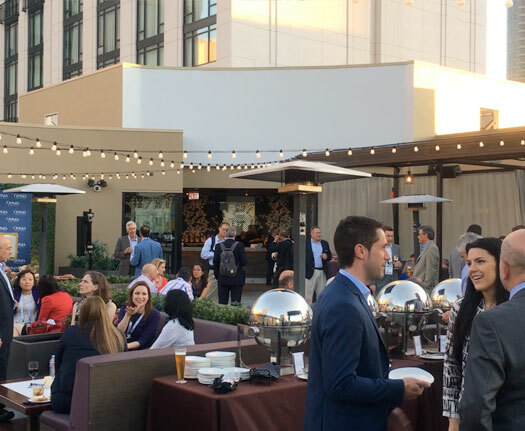 We'll see you at the Grifols booth, the morning of CPhI. 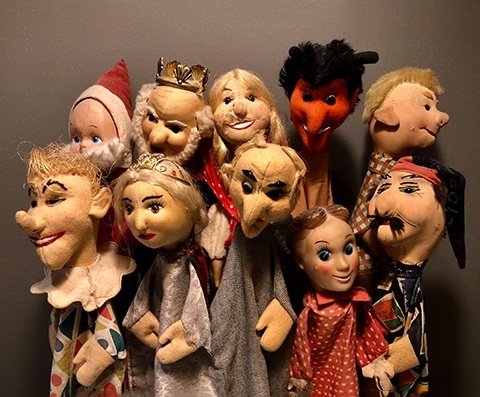 Meet Marga Vines and the management team there! With just a day until CPhI Worldwide - Frankfurt, it's the final day of booth set up for our clients. There's still lots to do as Graham Combe, arrives from UK office. We can't wait to see you there! 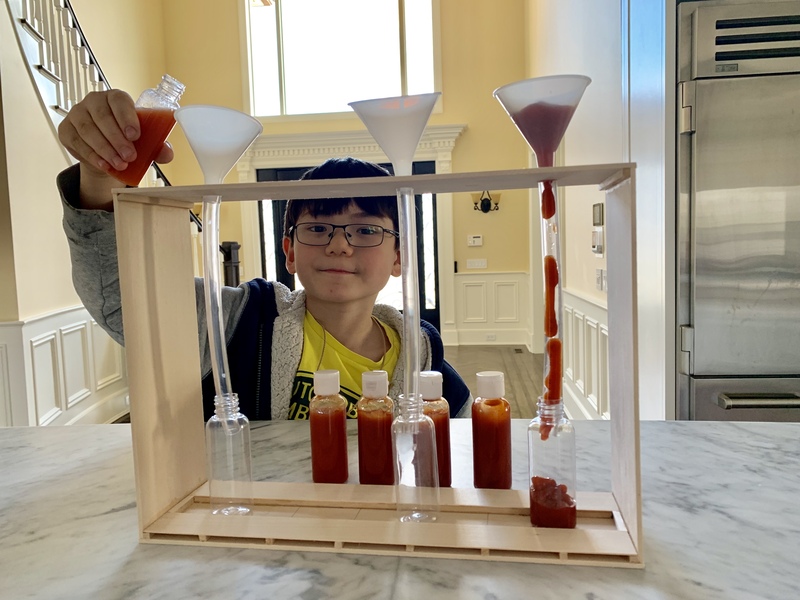 Keeping it consistent, BioVectra is ready for a big year in Fermentation, complete with a new plant location. 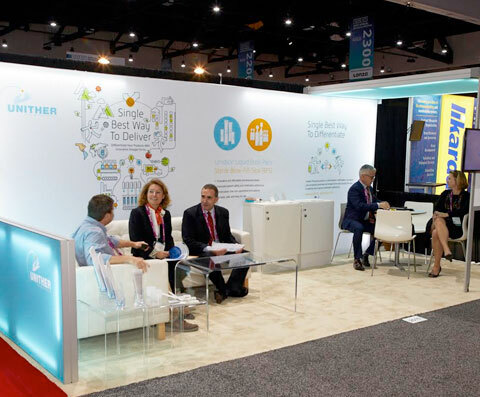 Come meet the company President and his commercial team at CPhI! 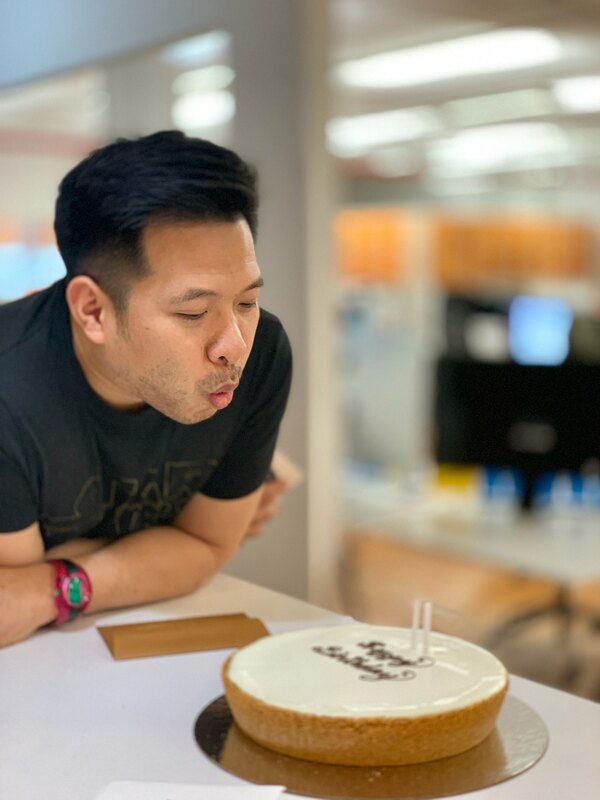 This is our third year with Cenexi. 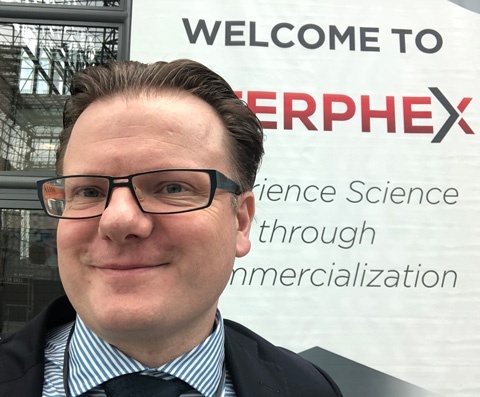 The company has a new CEO in place, and with the visionary founder and Chairman still at the helm, there’s much to do at Cenexi. The Bushu Pharmaceuticals booth is in the process of being built at CPhI Frankfurt. You can come visit the completed booth this Tuesday morning, the 24th. We'll see you there! The booth is ready to go in hall 4.1 Join us at Marken for a beer and a gift from the supply chain market leader. 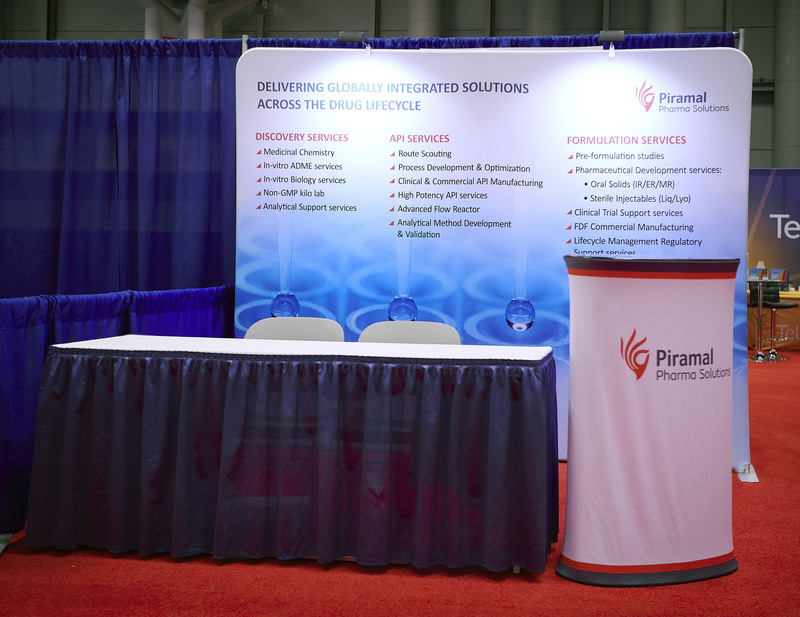 After 5 years, SPI Pharma is launching their brand new booth and there's plenty of work to be done. 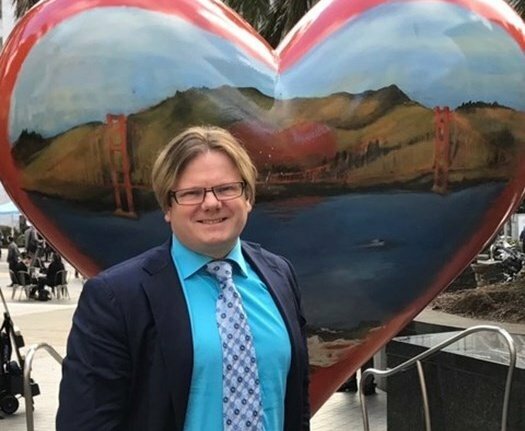 Come over and meet the new CEO! Avara has a new booth this year. 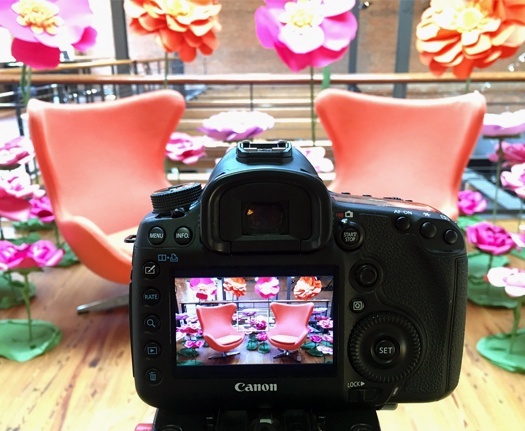 There's so much going on with the company's growth--we encourage you to stop by and talk with CEO Tim Tyson about it! 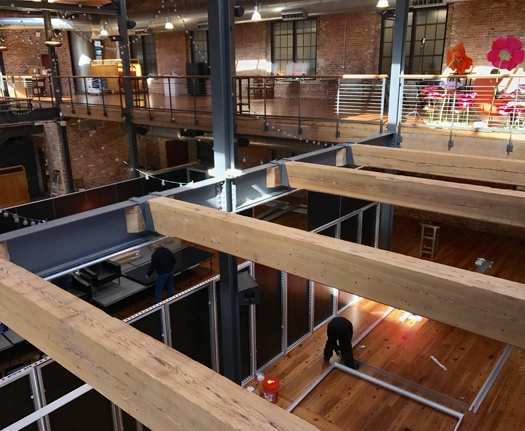 GSK CDMO # 41D70 is installing their booth for the sixth year, only now they have both a new management team and new ideas. Stop by and meet the boss, John Bolla, and listen to his vision moving forward. 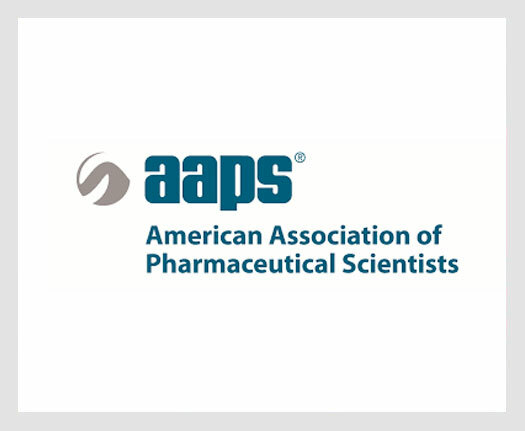 Come visit our long-time client ACS at CPhI booth #110D63. 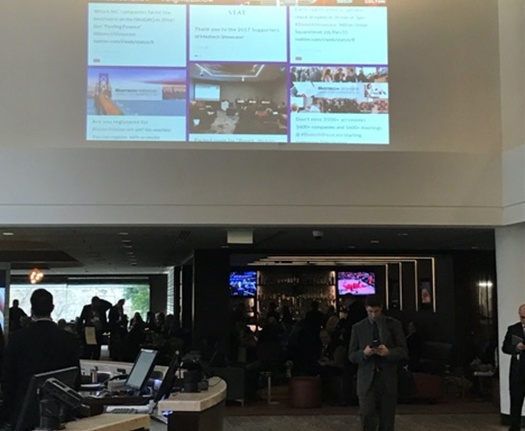 ACS is supporting the academic community--come over and meet the team. 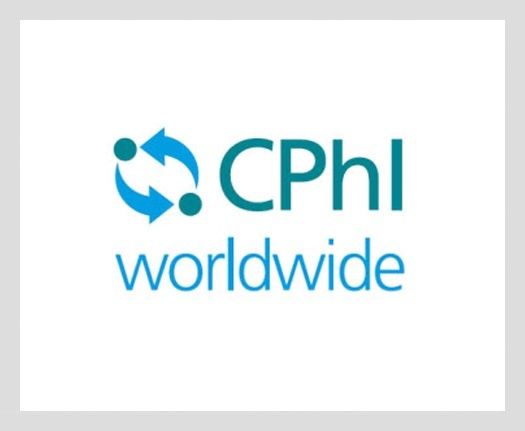 The That's Nice Countdown to CPhI Worldwide has begun – we can't wait to see you in Frankfurt this October 24th-26th. 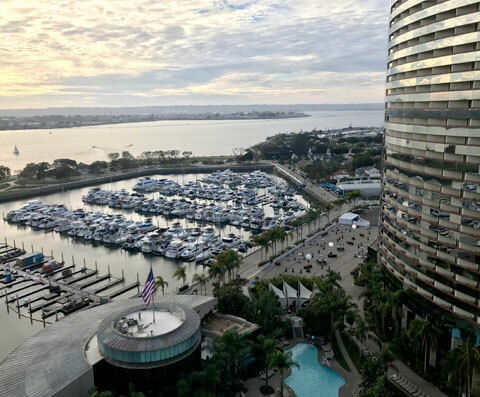 The BIO International Convention is officially wrapped up. 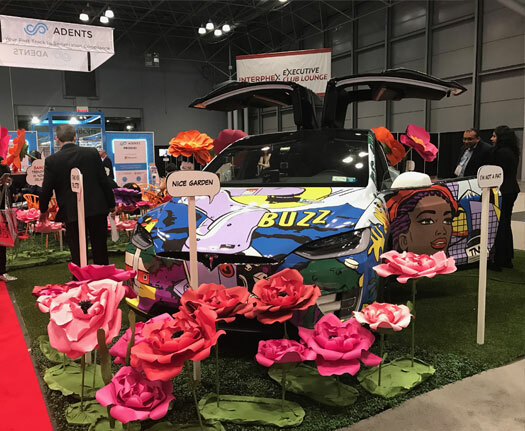 Our team and clients had a great time at the show--and half the fun was getting there! 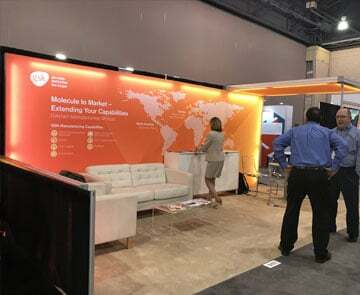 Recap our journey anytime by visiting https://www.pharmasalmanac.com/blog. 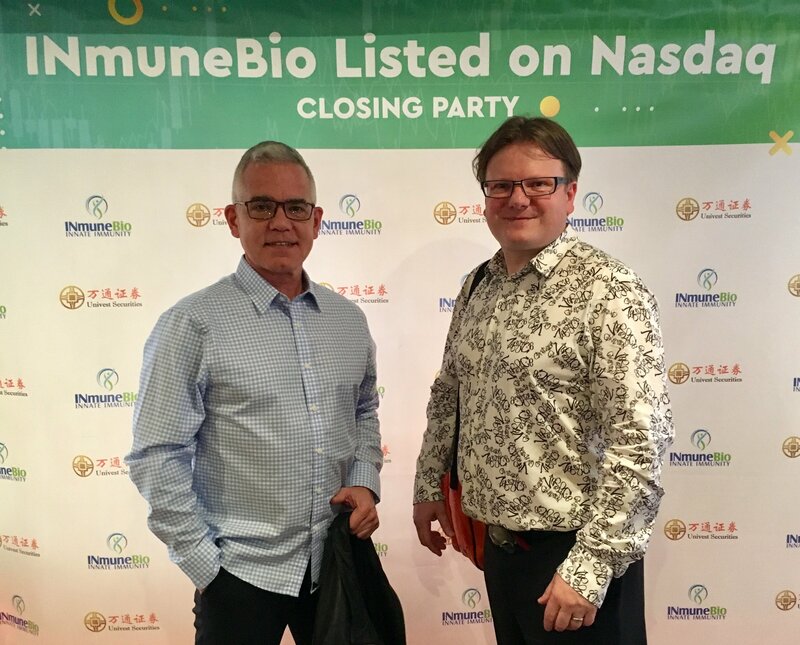 We could think of no better person with whom to commemorate the Road to BIO than Mr. Greenwood himself, as he discussed his own journey, and his effort to communicate the "Biotechnology Message" across the globe. 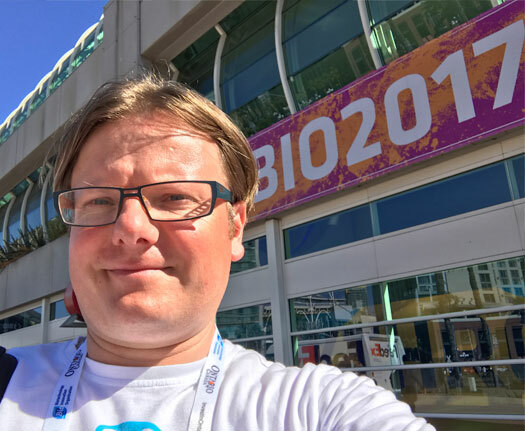 That’s Nice Founder & Managing Director Nigel Walker is always representing the company’s campaign colors, and BIO 2017 is no exception. 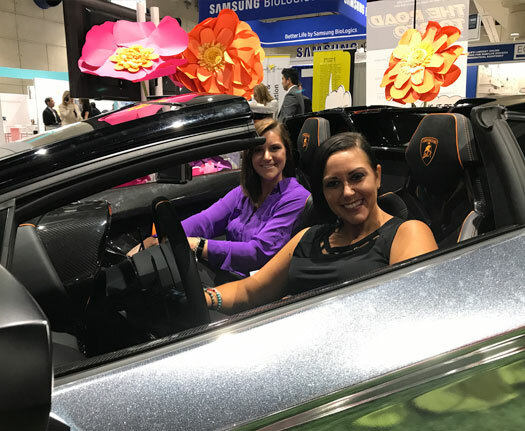 MPI’s Lisa Yoder, Senior Leader, Global Marketing & Communications, and Katie Kridler, Brand Manager, came by That’s Nice booth # 1019 for a visit and a photo op in the Aventador. 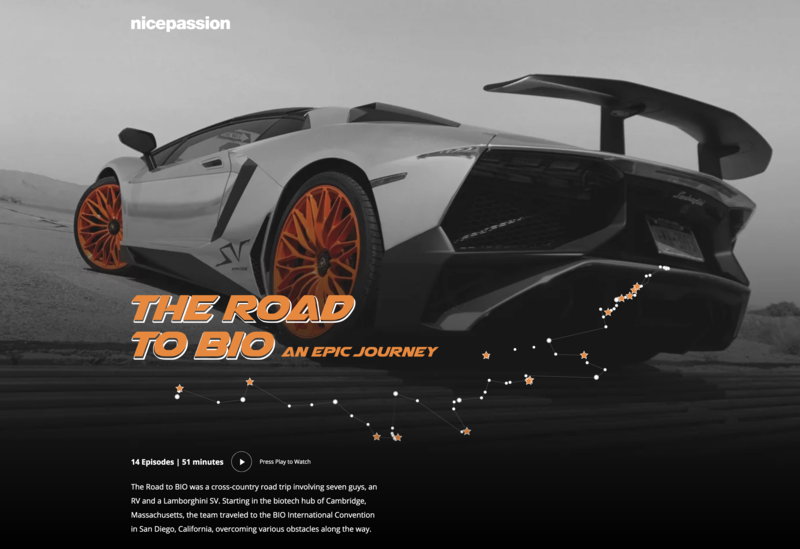 Our Glittering Insights campaign has followed us to San Diego. 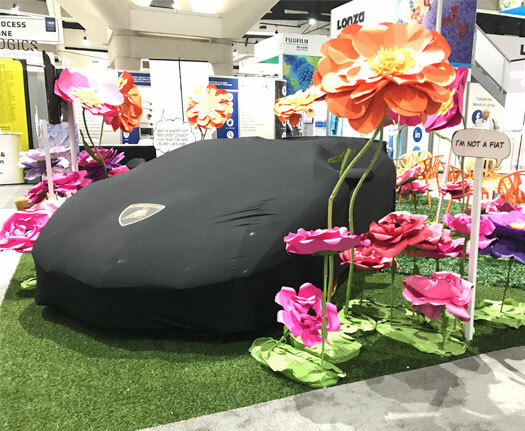 Come check out our “garden” at booth # 1019 where we are reporting live from inside the industry. 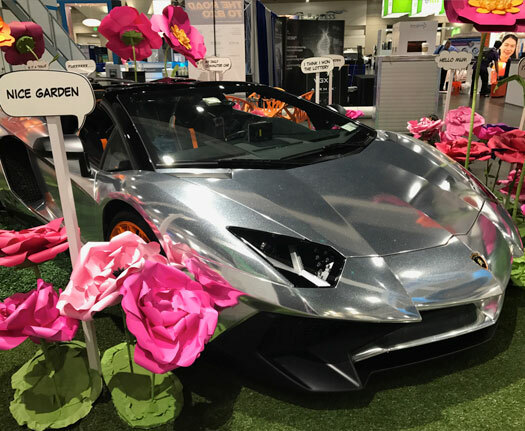 Almost 5,000 miles and 19 states later, the Lamborghini is safely tucked inside BIO booth # 1019. Come say hello! 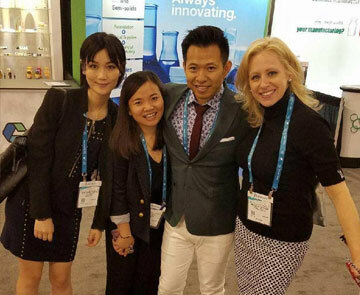 Look who we found at CPhI NA - the Haig Barrett team! 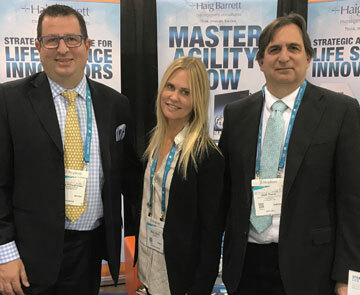 Pictured here are Haig Armaghanian, CEO and Nice Consulting Partner; Beth Harris, Senior Account Director; and Josh Dunn, Strategy and Execution Lead. 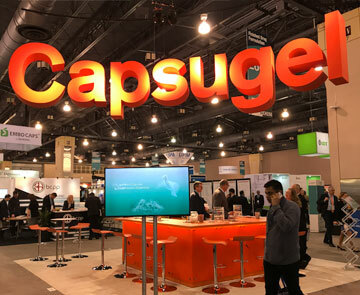 Greetings from CPhI NA in Philly! 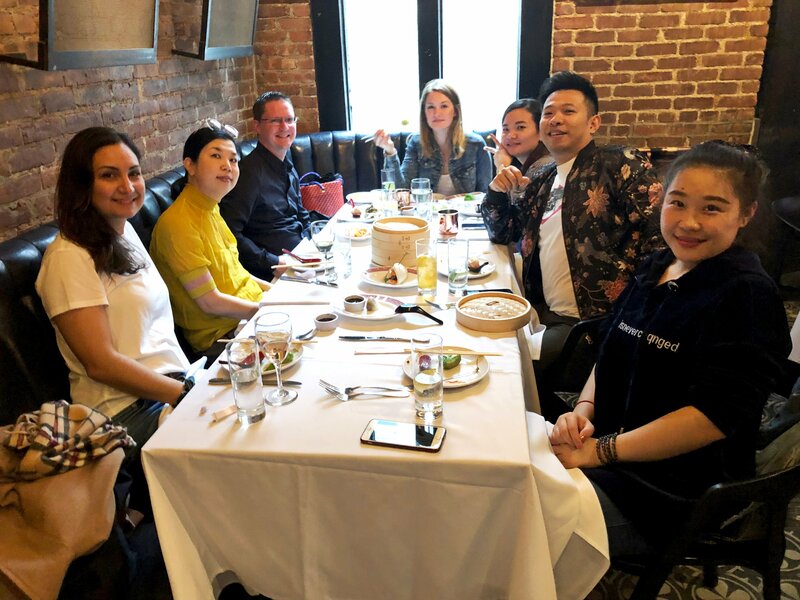 Mimi Chen, Yiyi Liu, and Wei Gao from the That's Nice accounts team are pictured here with Mary Lee Schiesz , Manager of Marketing for UPM. 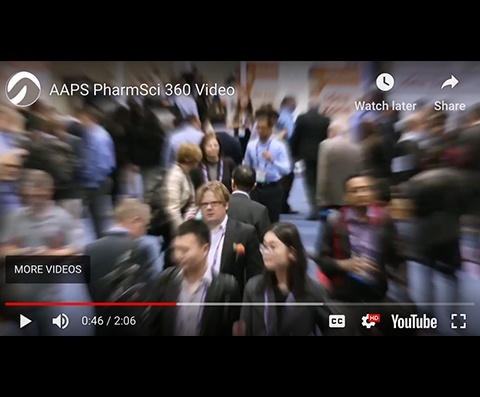 The Pharma's Almanac TV interviews were one of the main events of the Nice Symposium. 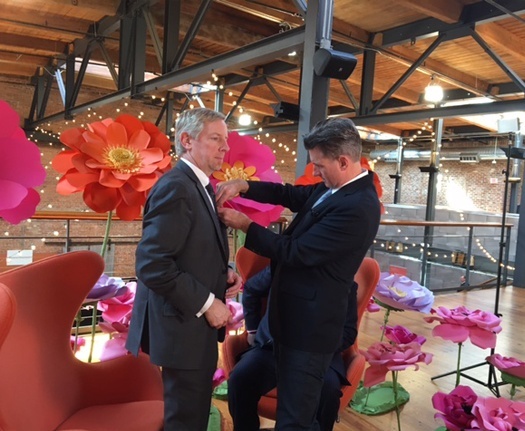 Here our Director of Digital Capture, Brian Pierce, puts a microphone on David Shenberger of CAI. 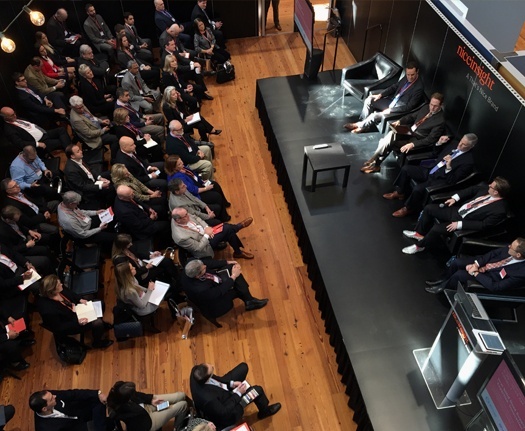 Looking back at the Symposium, fun was had by all! 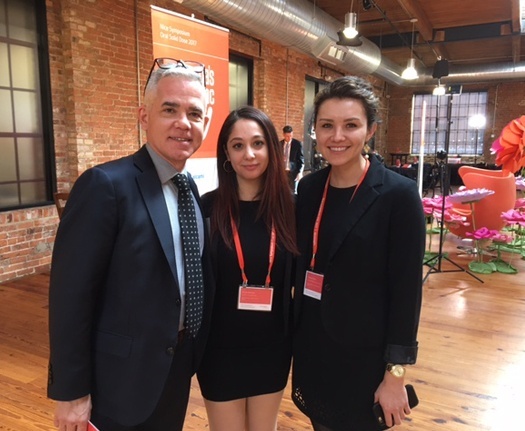 Guy Tiene is pictured with Chloe Park and Emilie Branch on the Pharma's Almanac team. Nice Symposium 2017 Oral Solid Dose kicked off this morning in Raleigh. 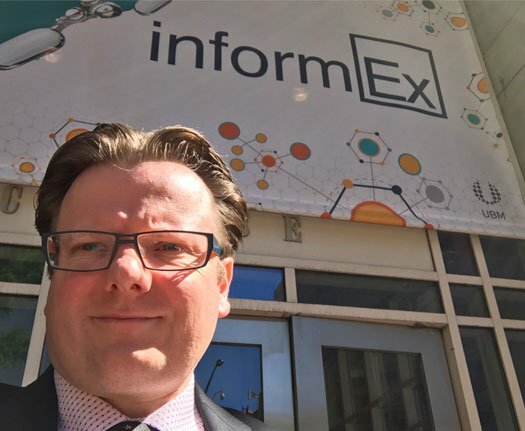 This is a new industry think tank forum for leaders in outsourced pharmaceutical services and their customers. 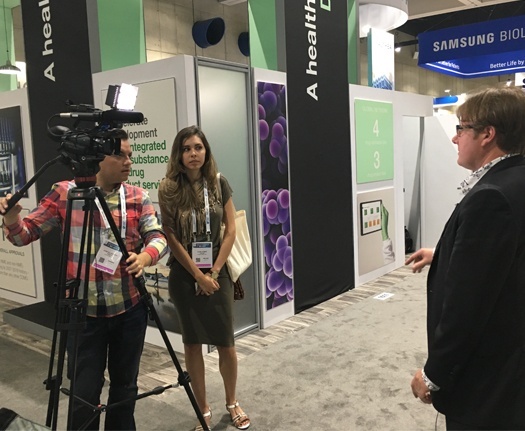 Our Pharmas Almanac TV team are gearing up to interview thought leaders from the life sciences industry attending Nice Symposium 2017.